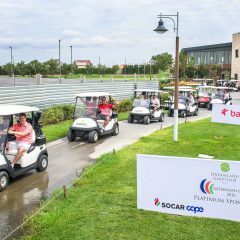 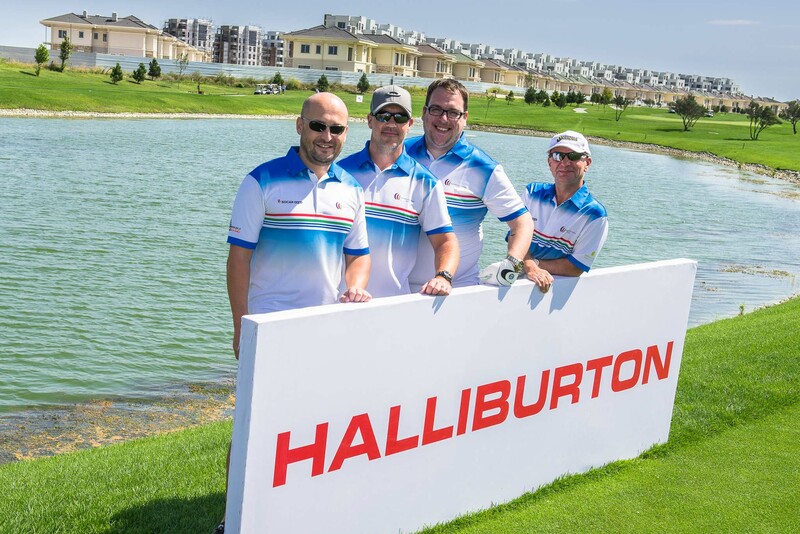 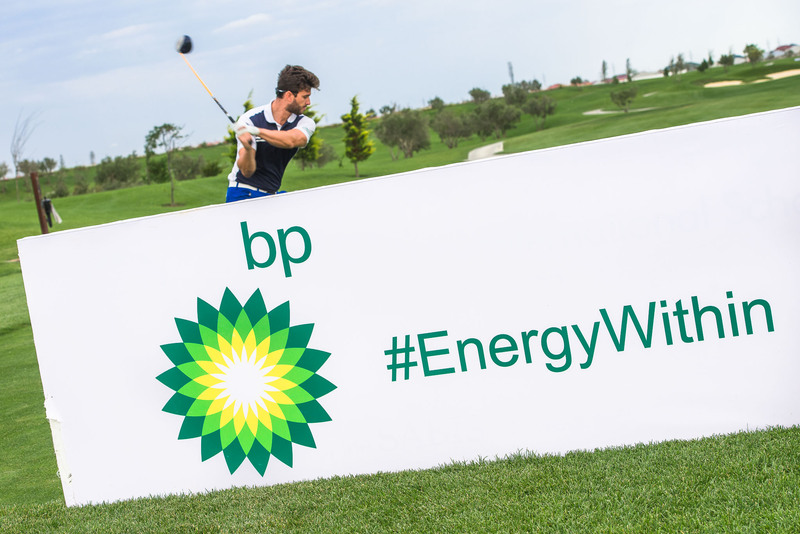 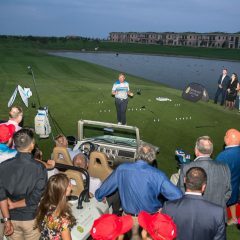 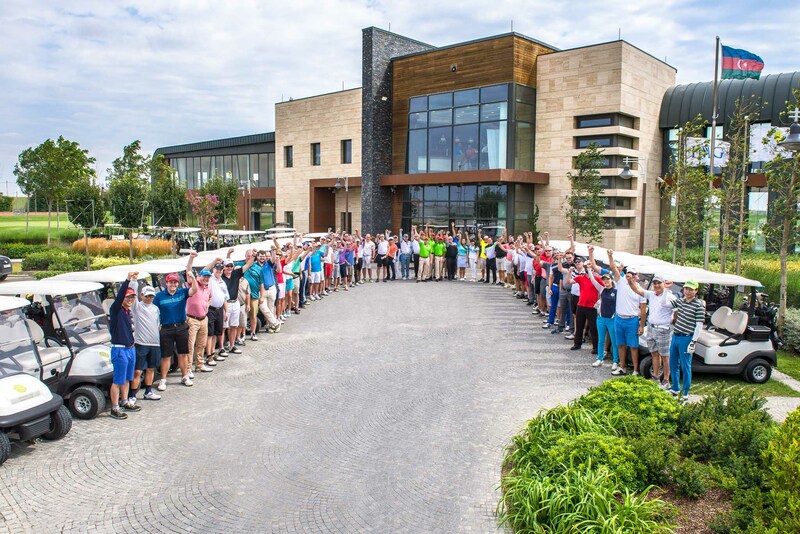 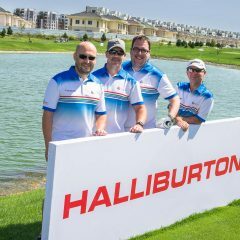 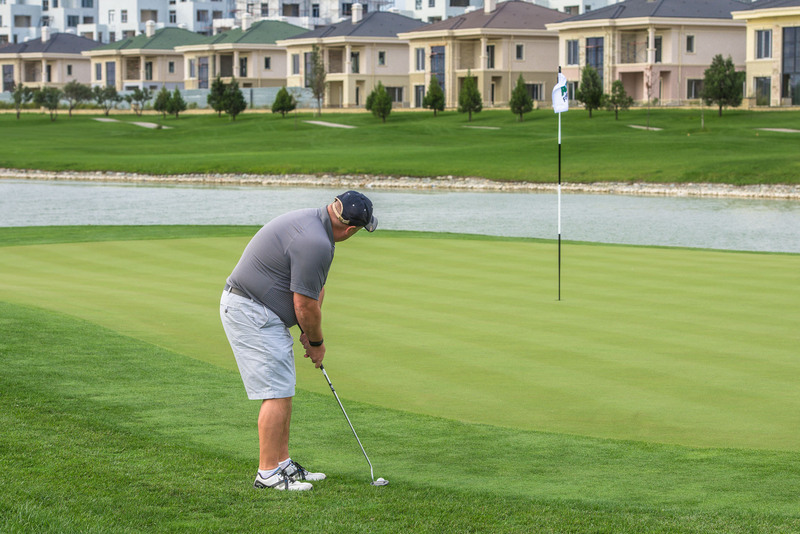 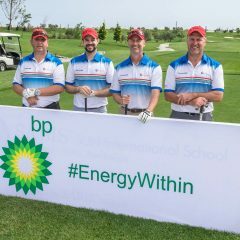 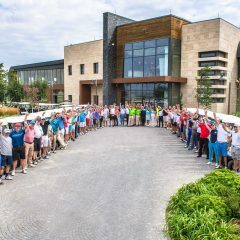 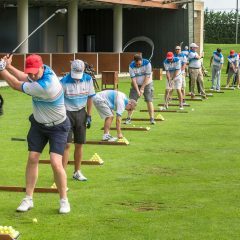 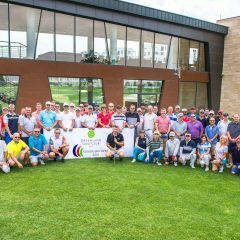 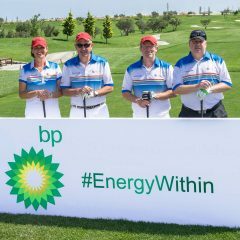 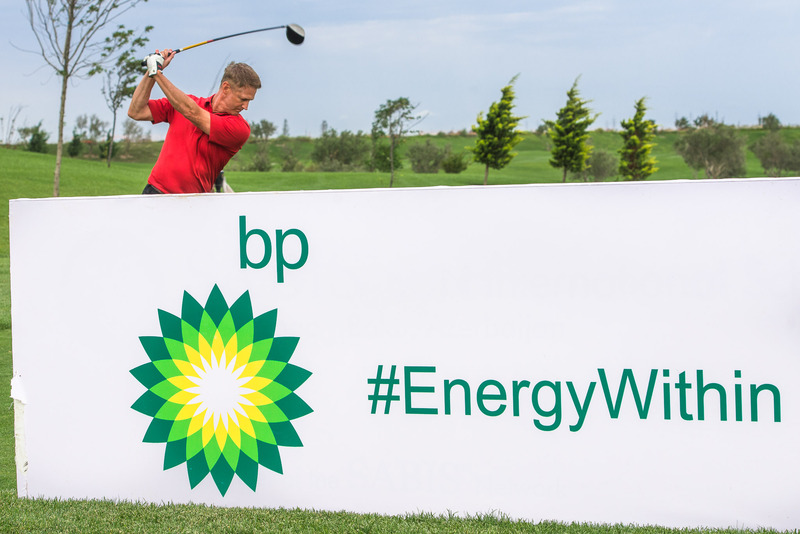 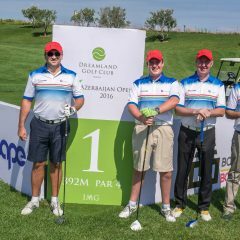 80 players took to the Dye Championship course on both Saturday and Sunday to compete in the Inaugural 2016 Azerbaijan Open. 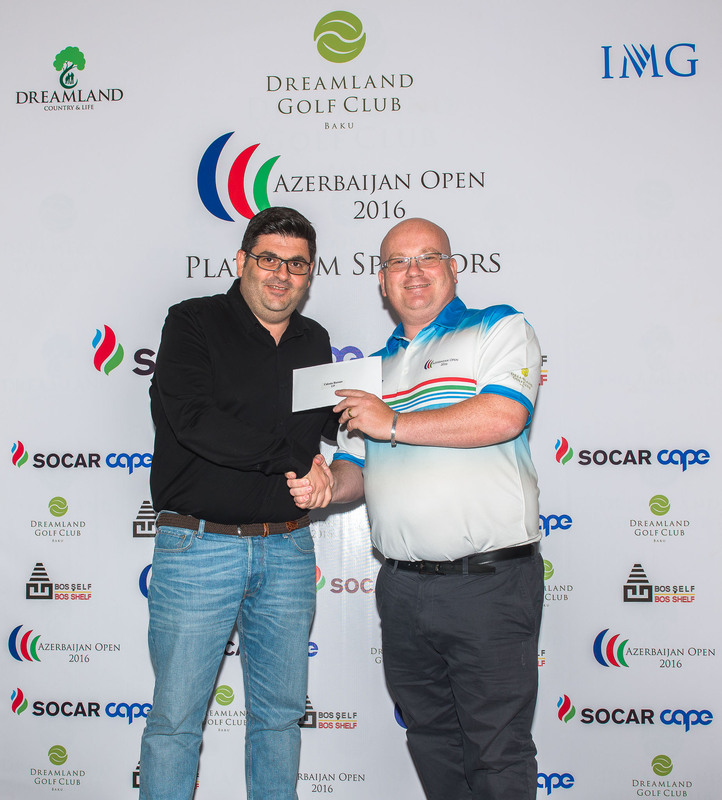 This fantastic event couldn’t have happened without the great support from our Platinum sponsors, Socar Cape and Bos Shelf. 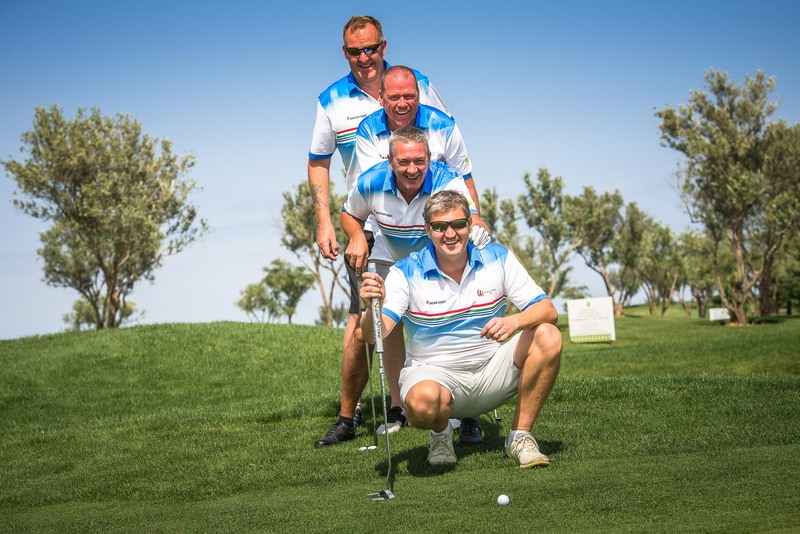 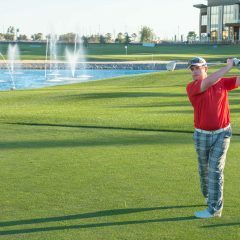 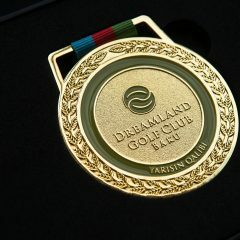 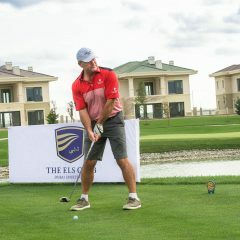 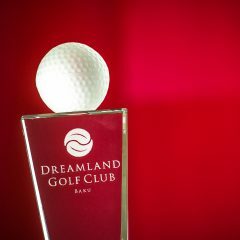 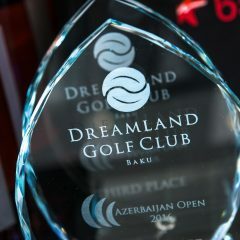 Playing in the event were corporate teams and also teams playing as Dreamland Golf Club. 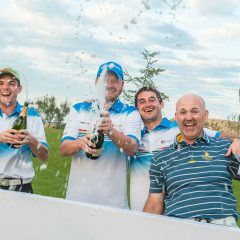 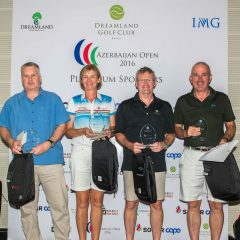 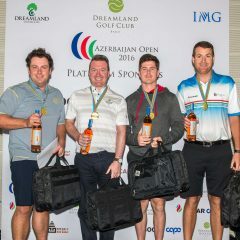 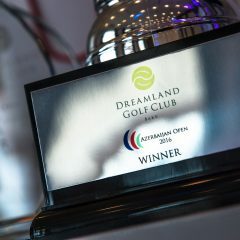 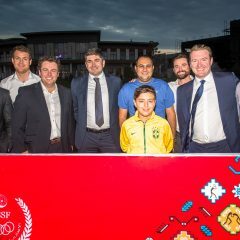 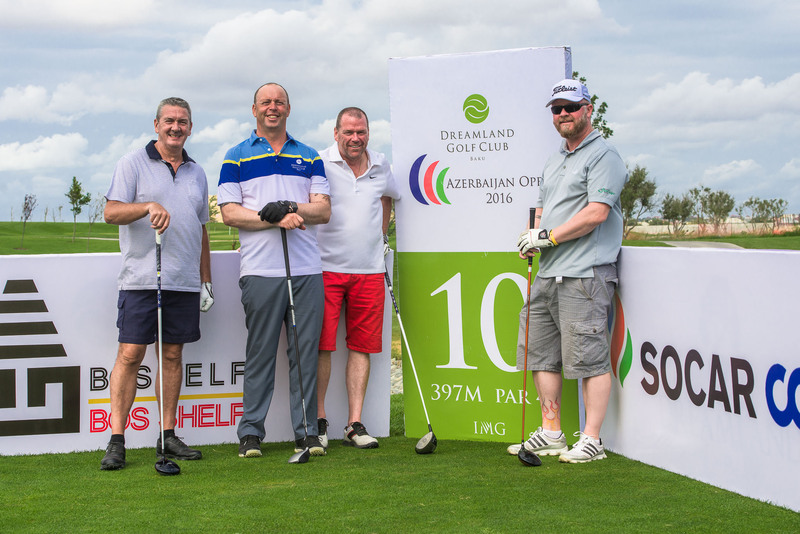 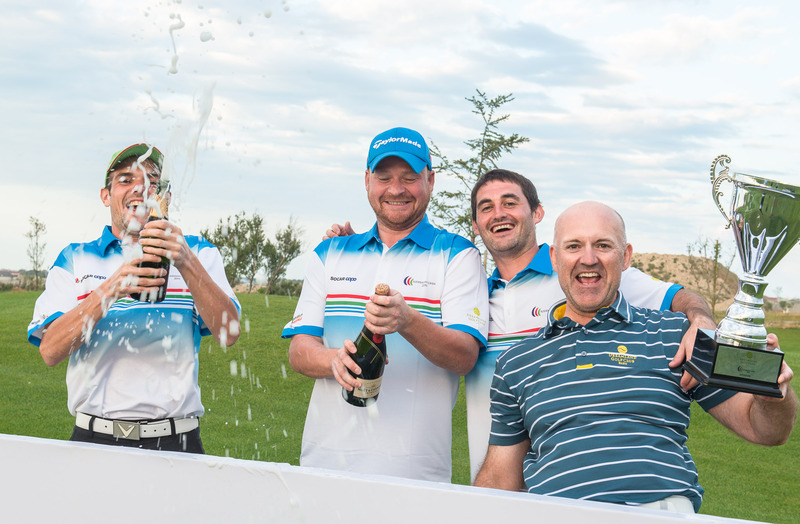 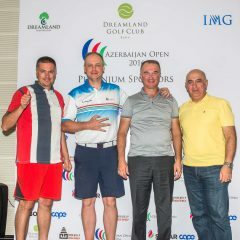 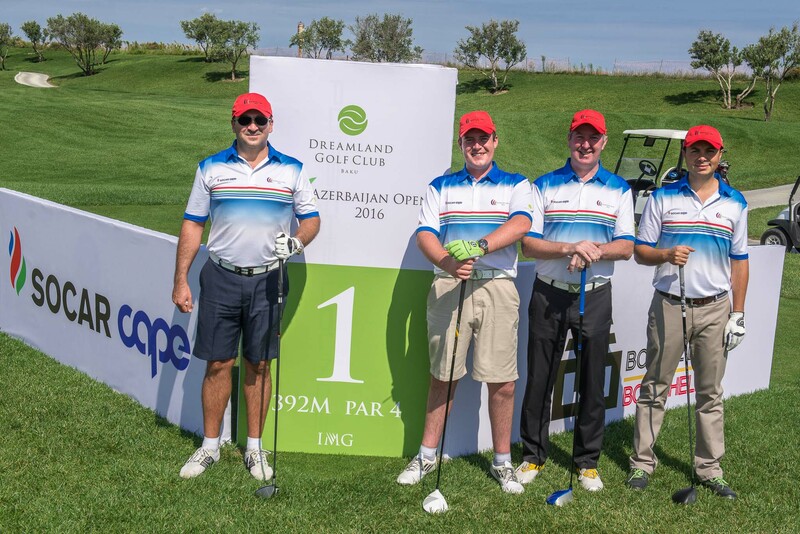 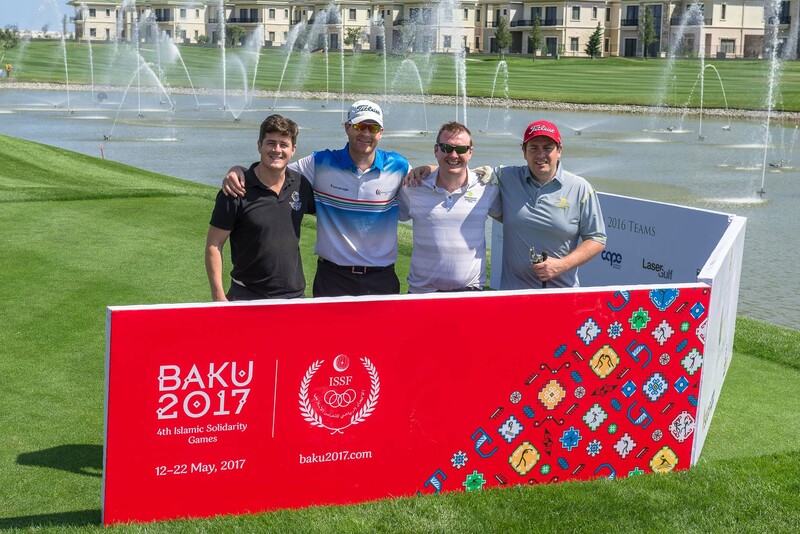 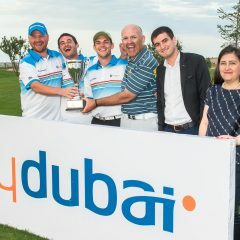 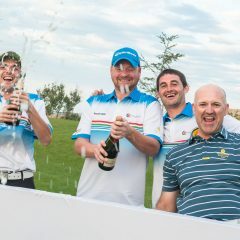 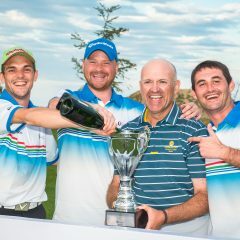 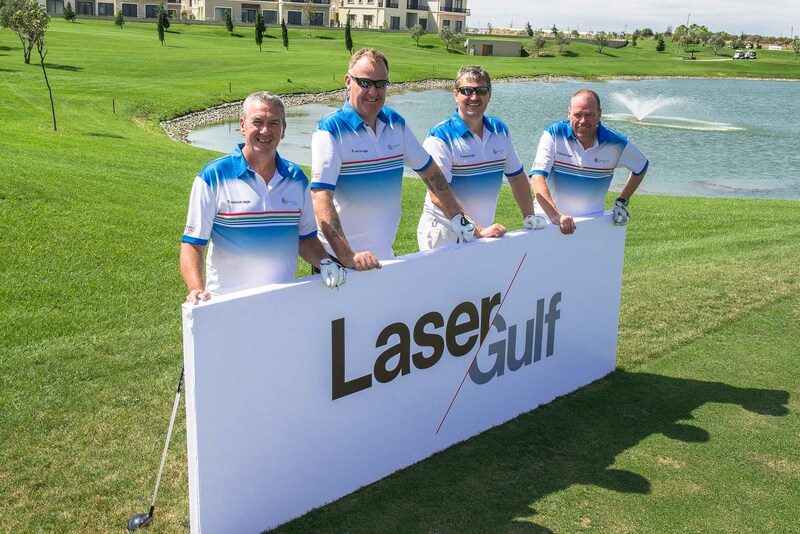 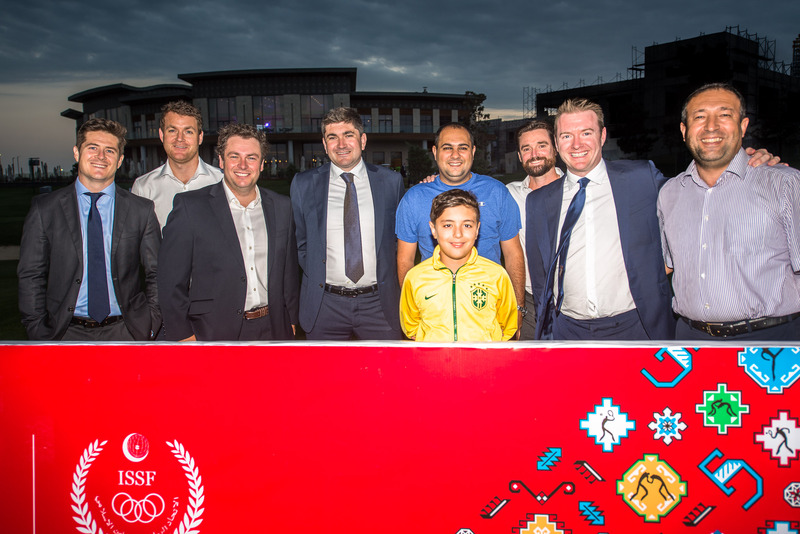 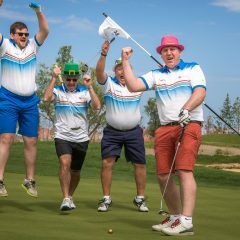 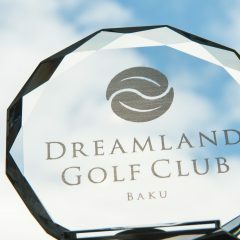 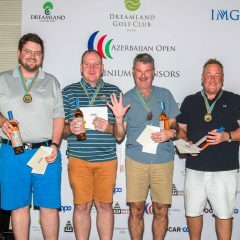 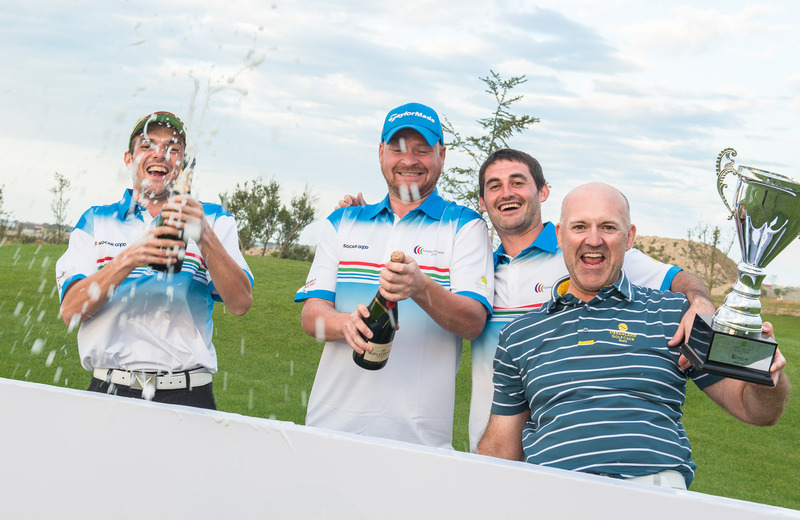 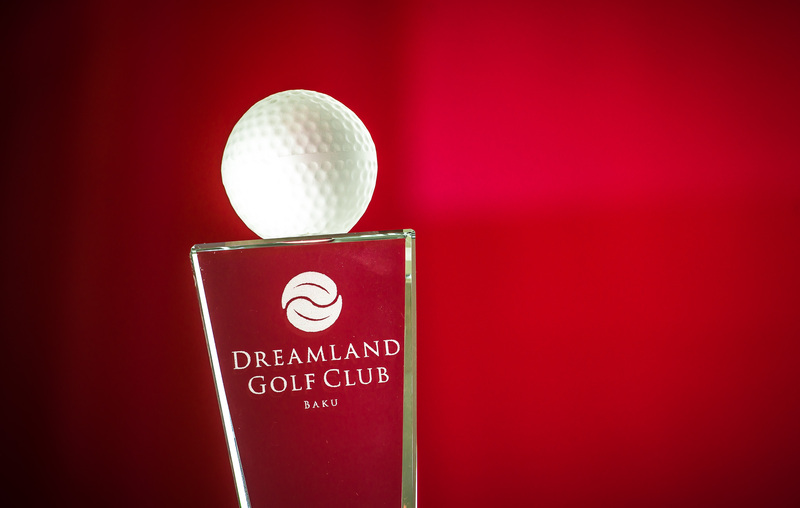 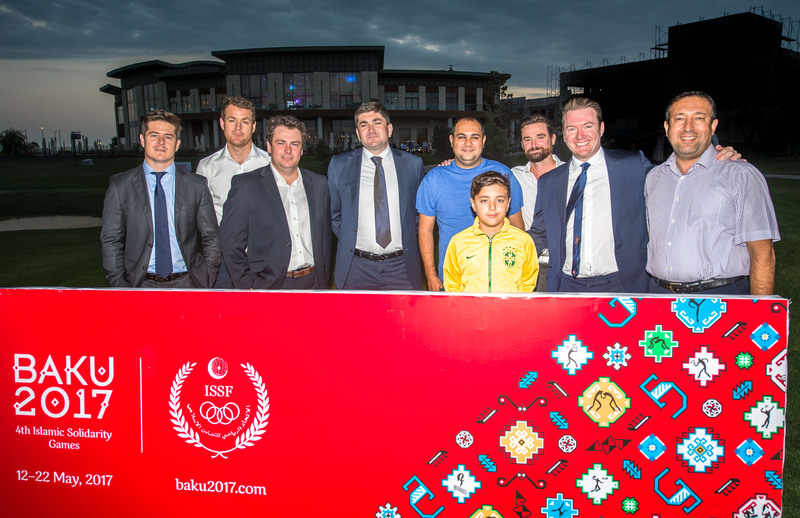 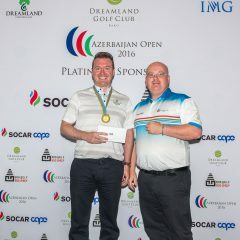 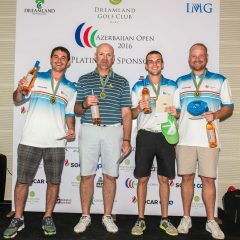 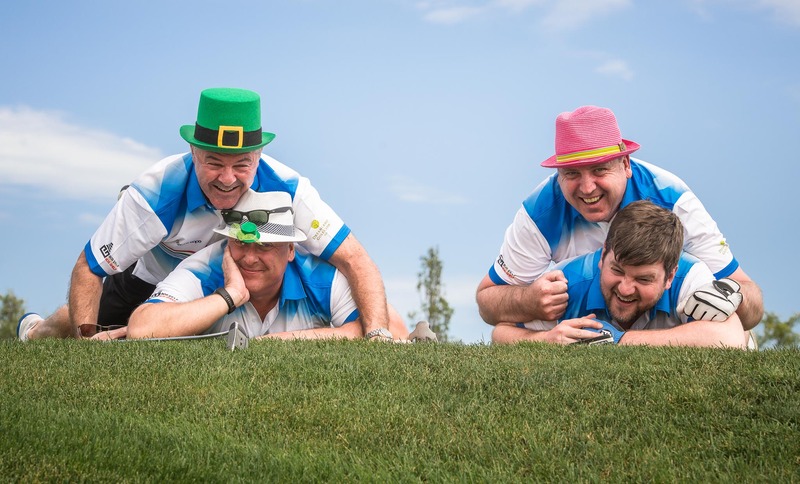 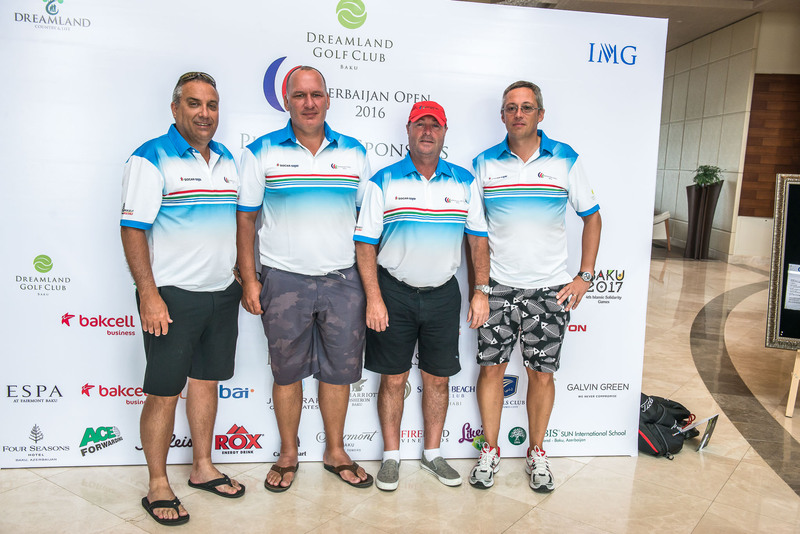 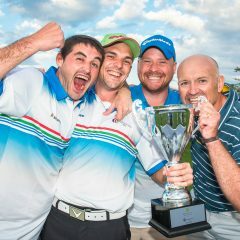 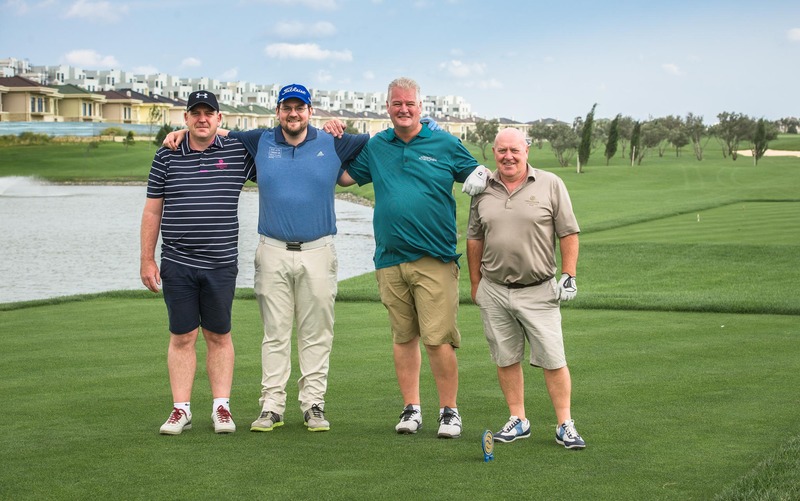 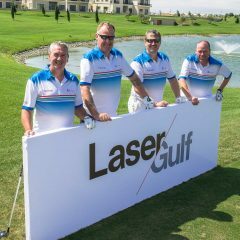 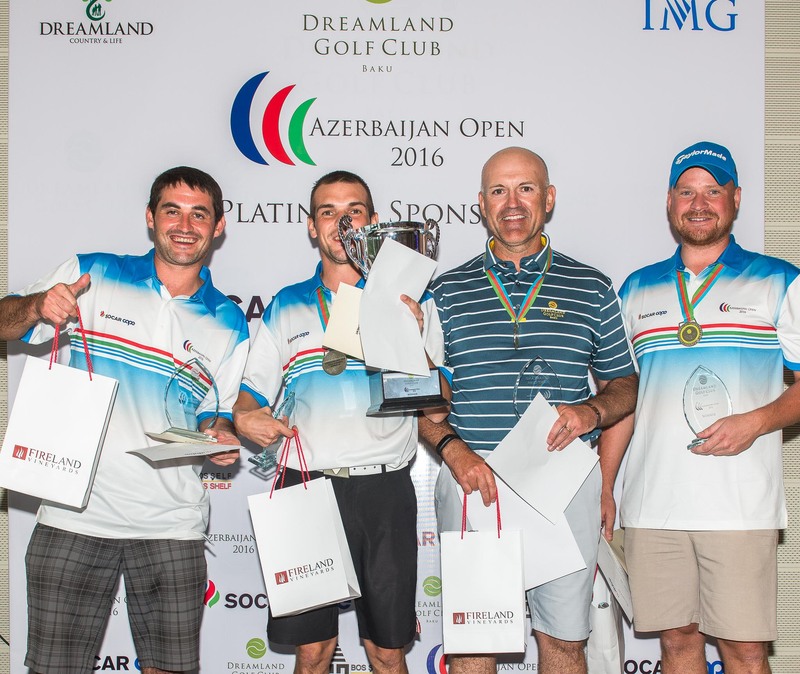 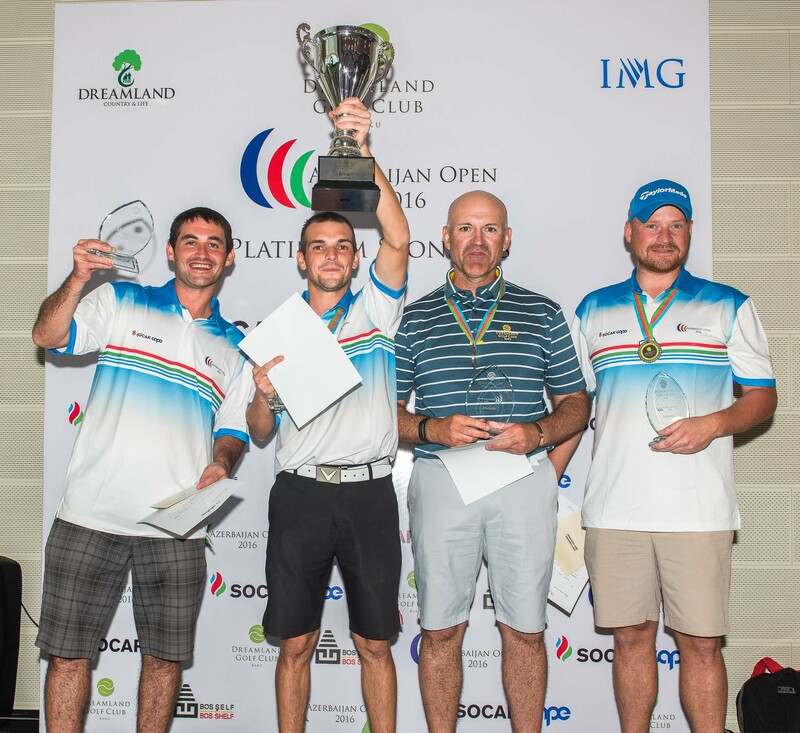 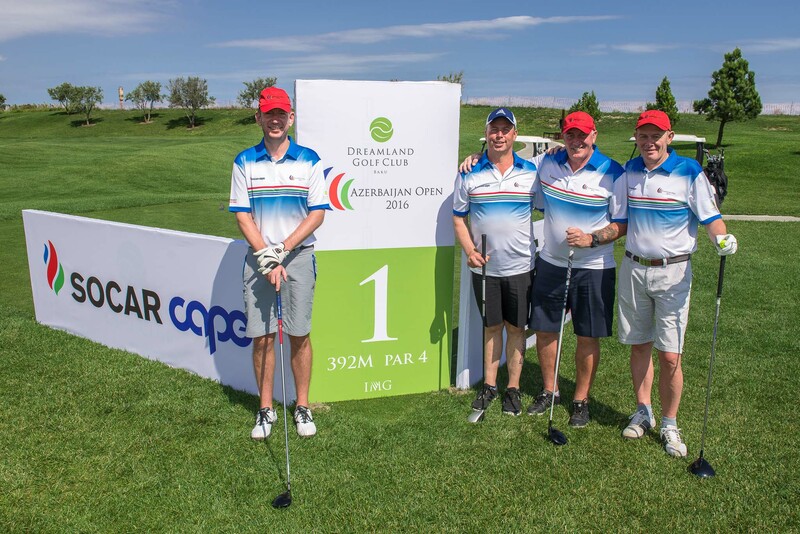 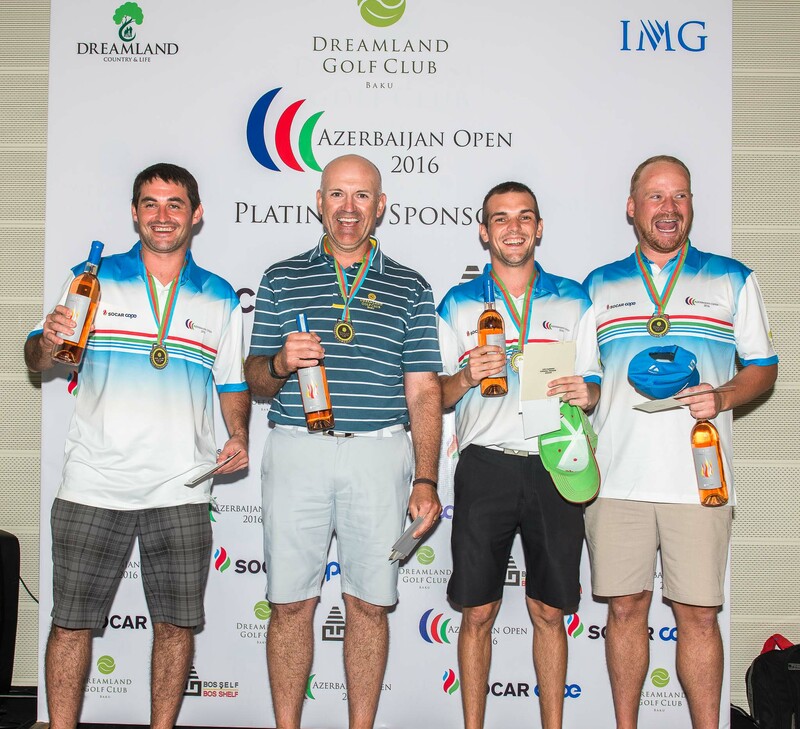 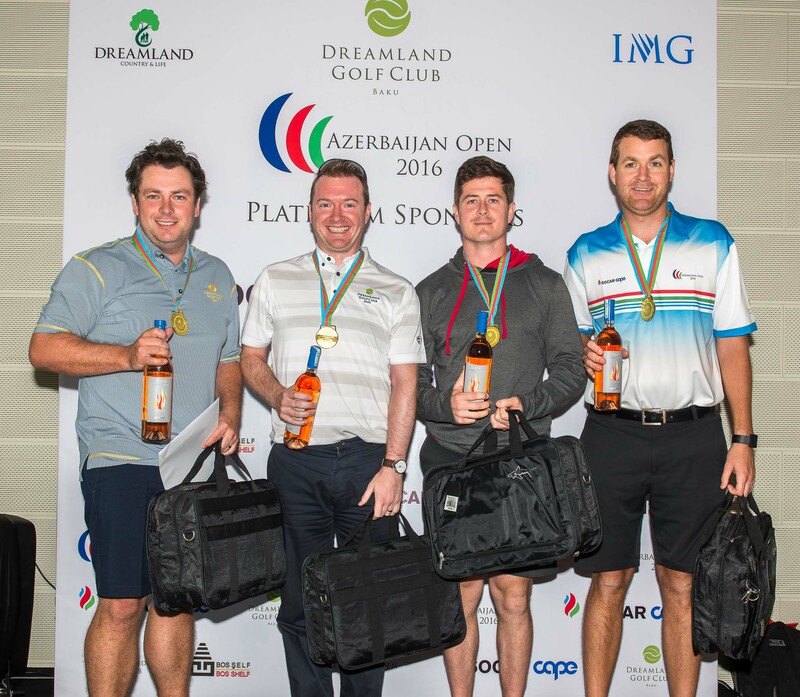 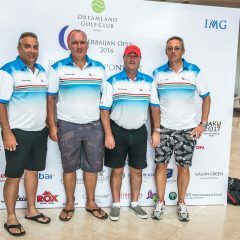 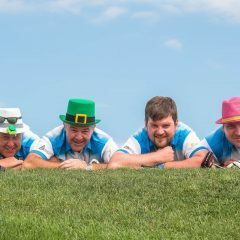 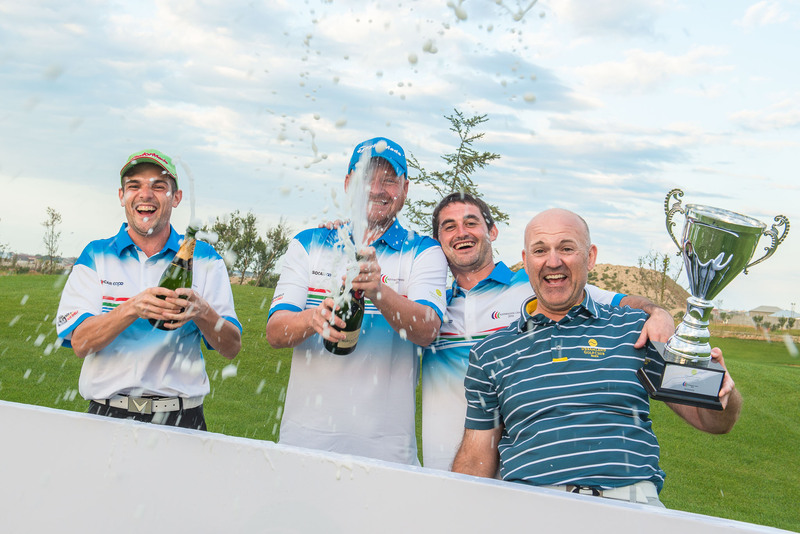 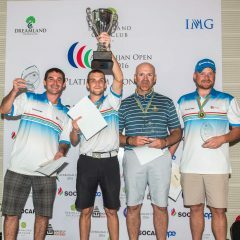 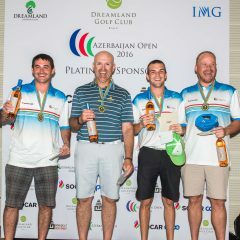 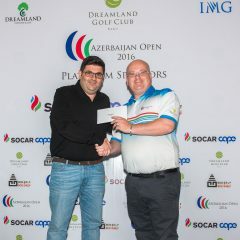 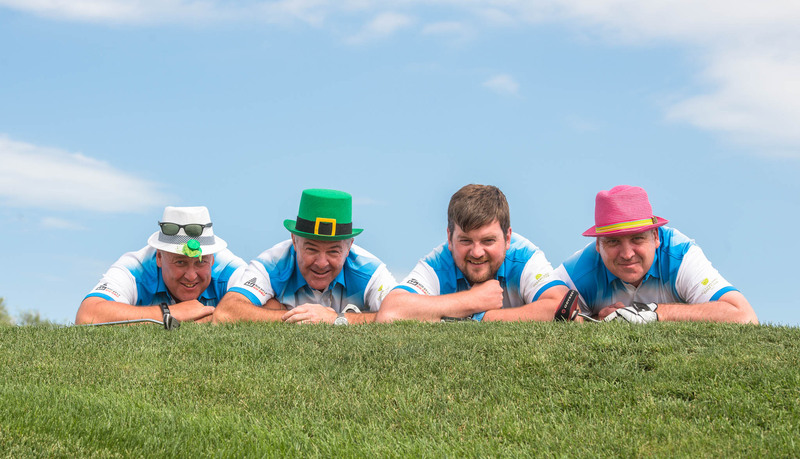 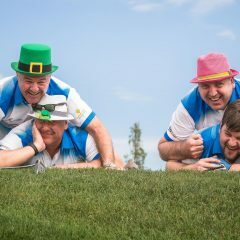 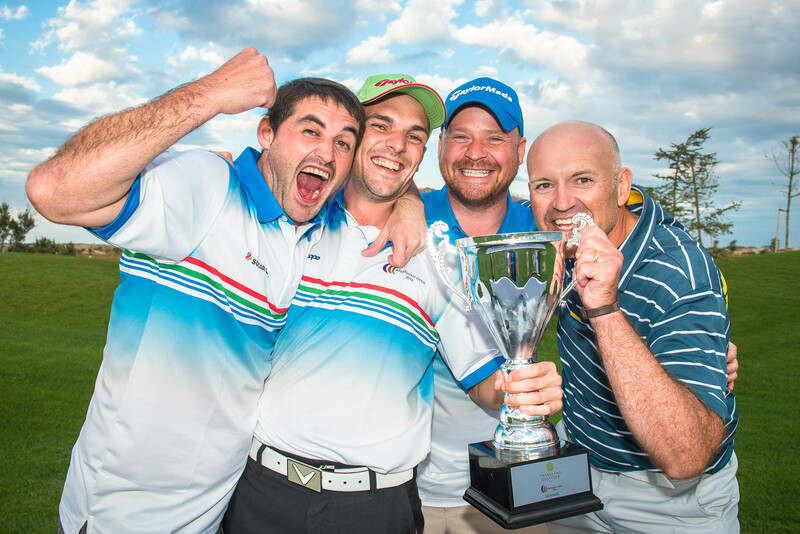 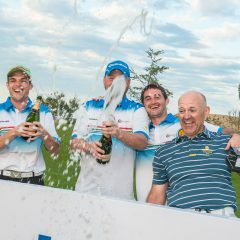 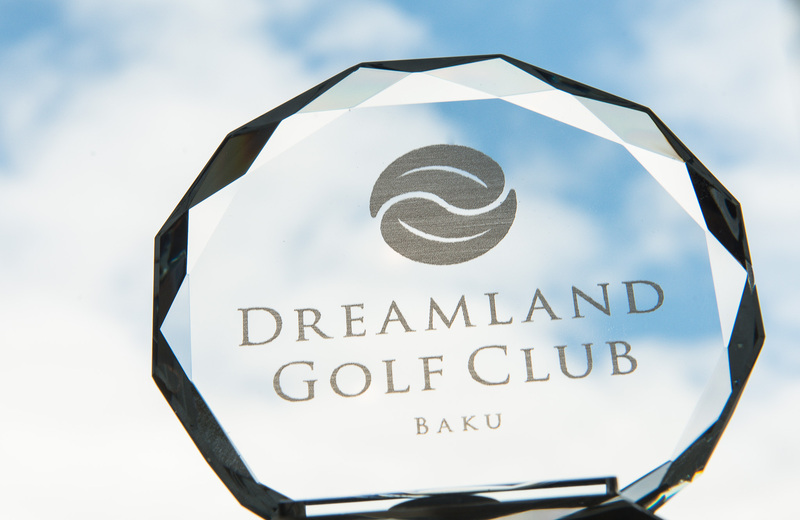 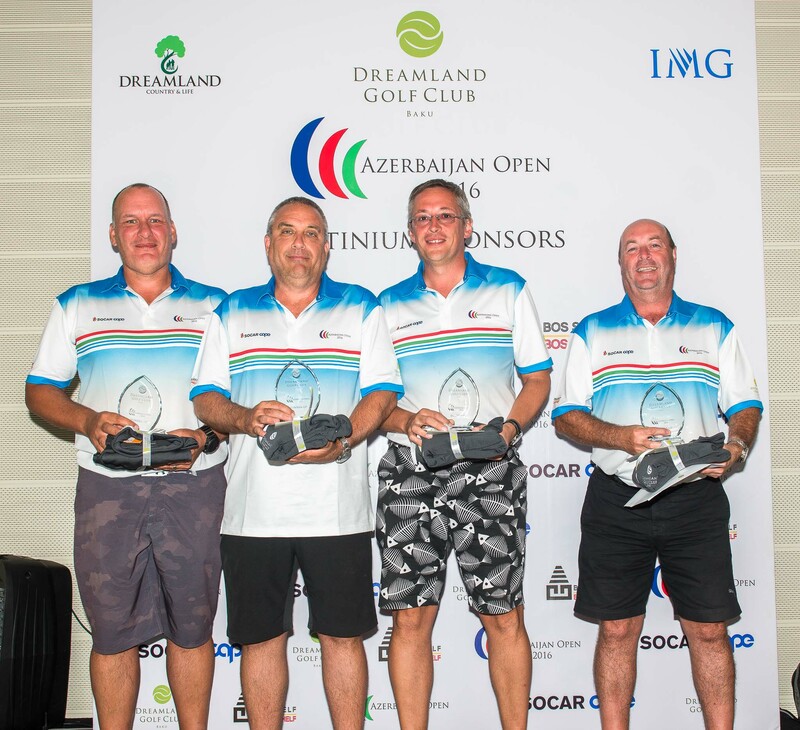 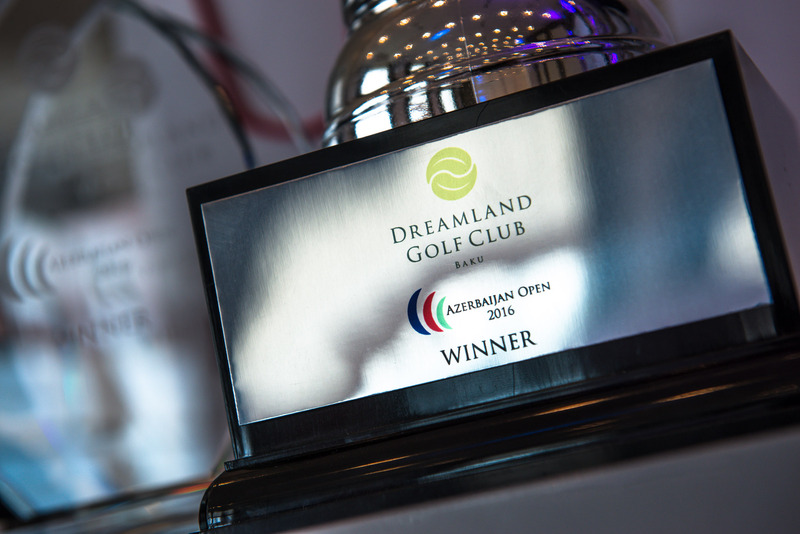 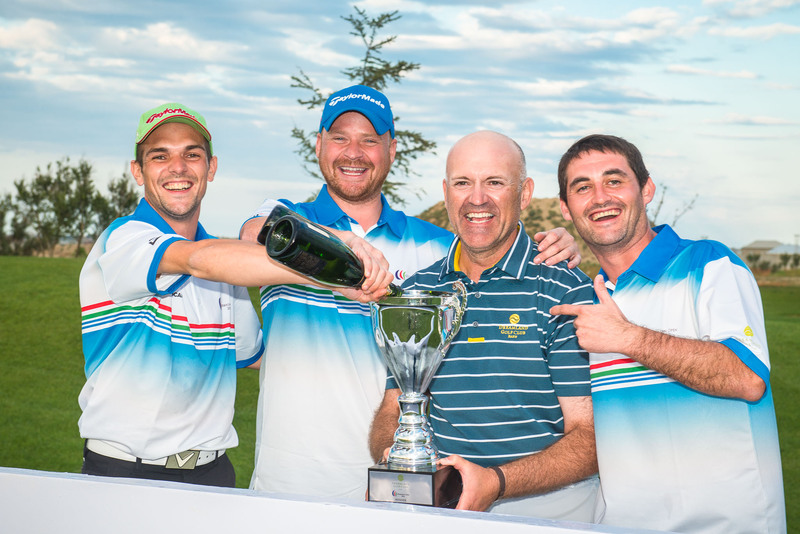 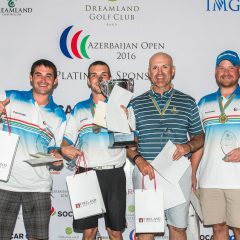 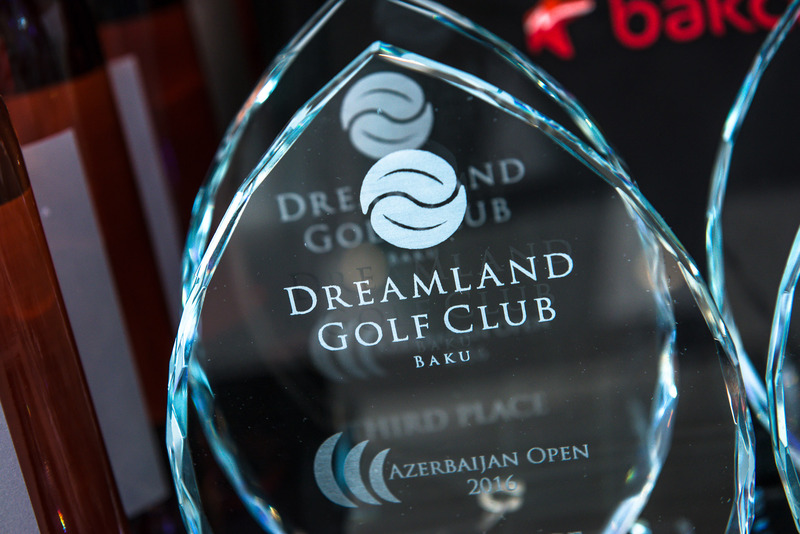 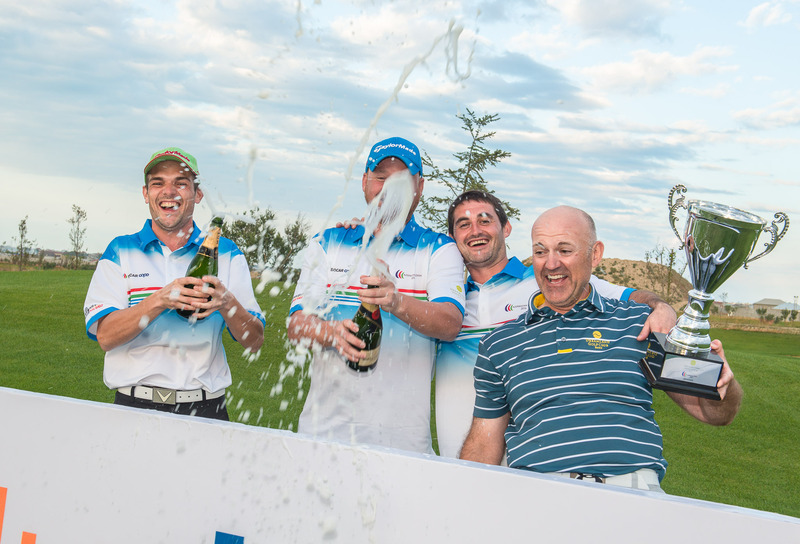 It was one of these Dreamland teams that went on to be crowned the 2016 Azerbaijan Open champions – Dean McEwan, Scott Donaldson, Daniel Lee and Stuart King. 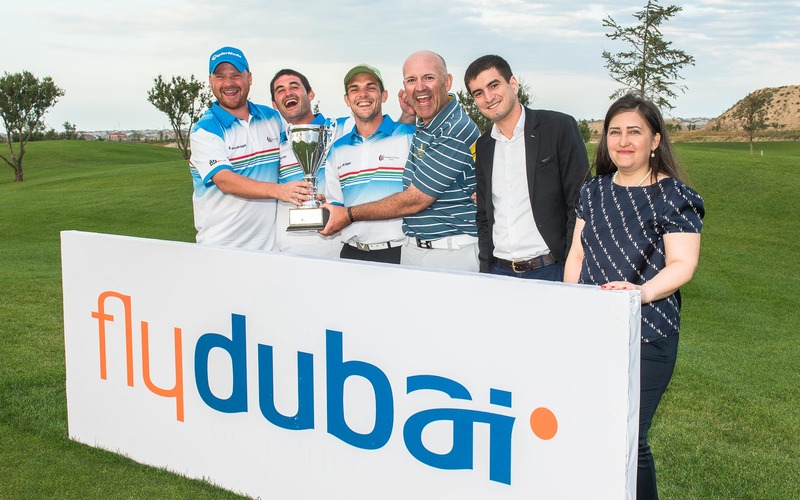 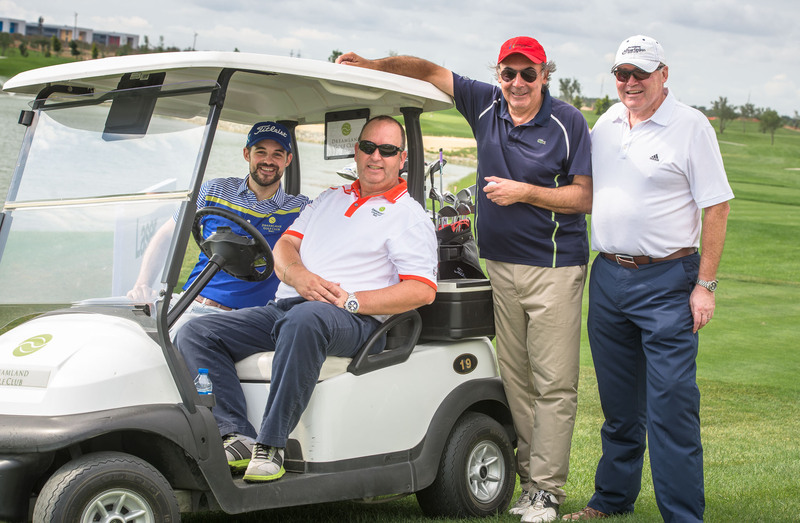 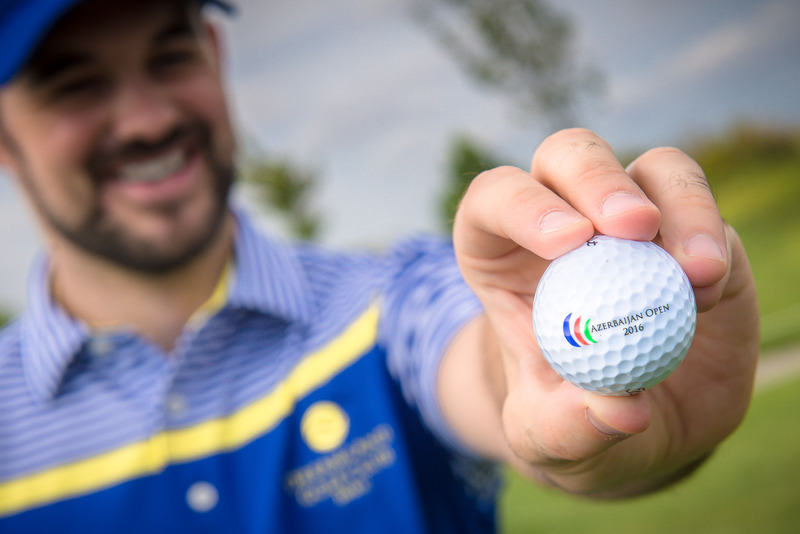 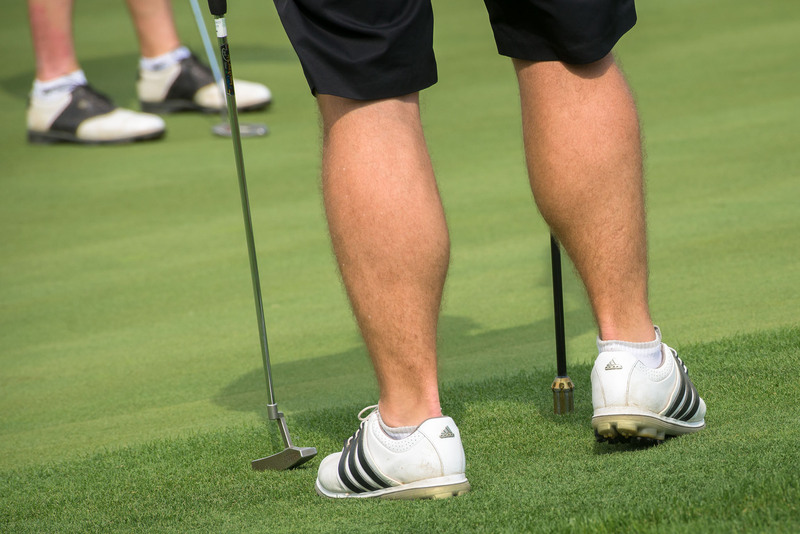 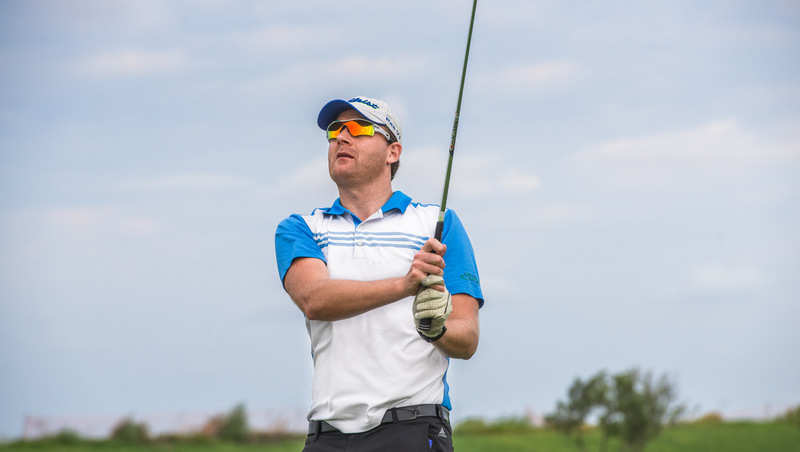 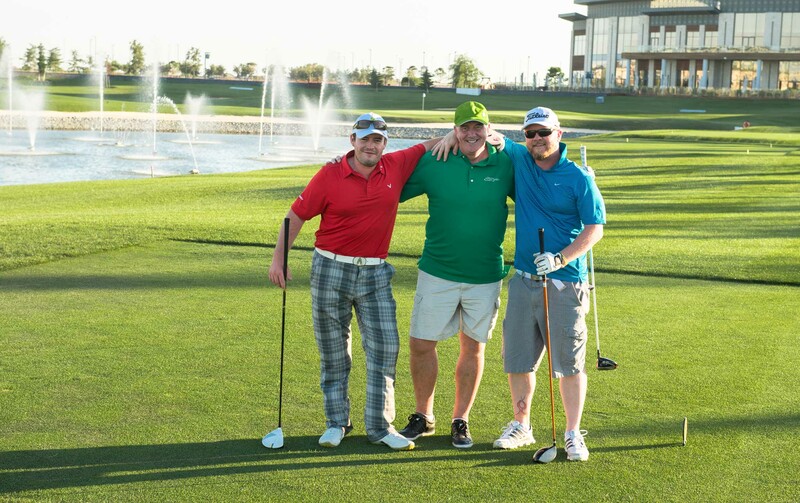 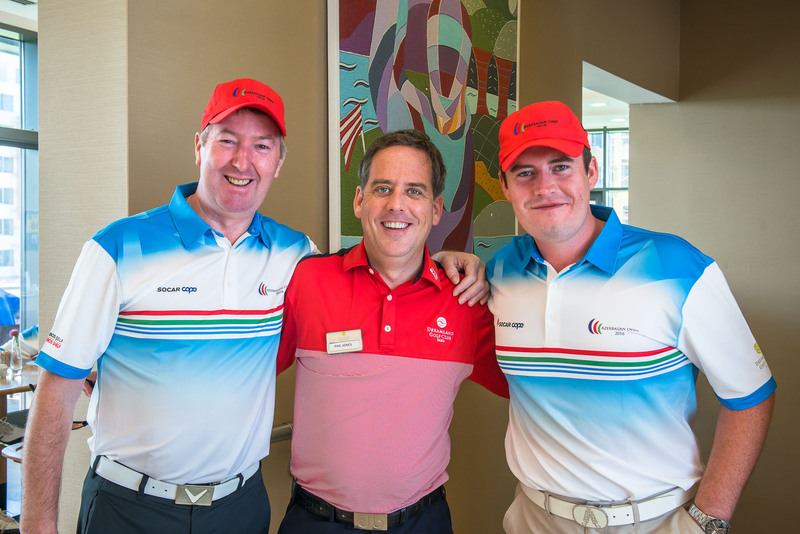 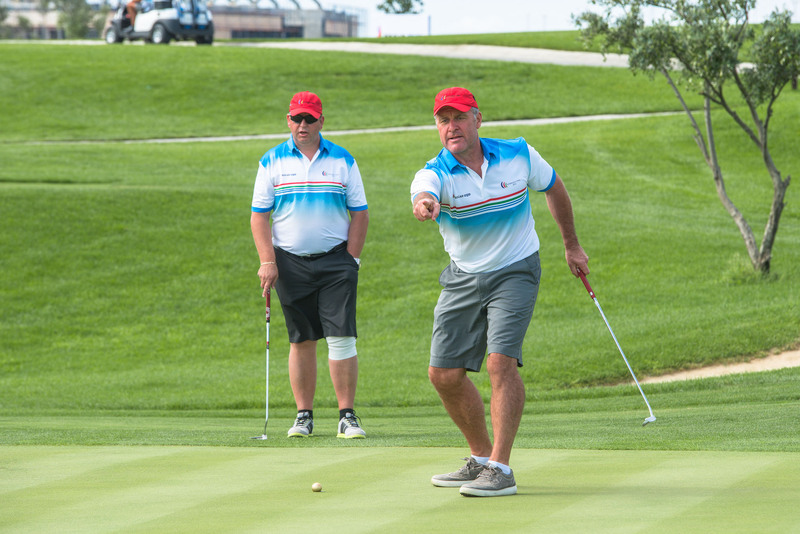 Over the 2 days, the teams made up of 4 Golfers competed in 2 different Golf scoring formats. 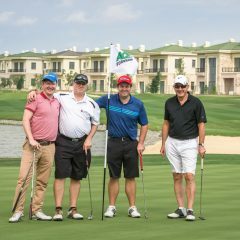 On day 1, they played an individual stroke play event, and on day 2 they played the Scramble format as a 4 player team. 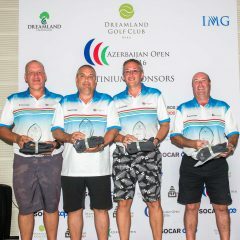 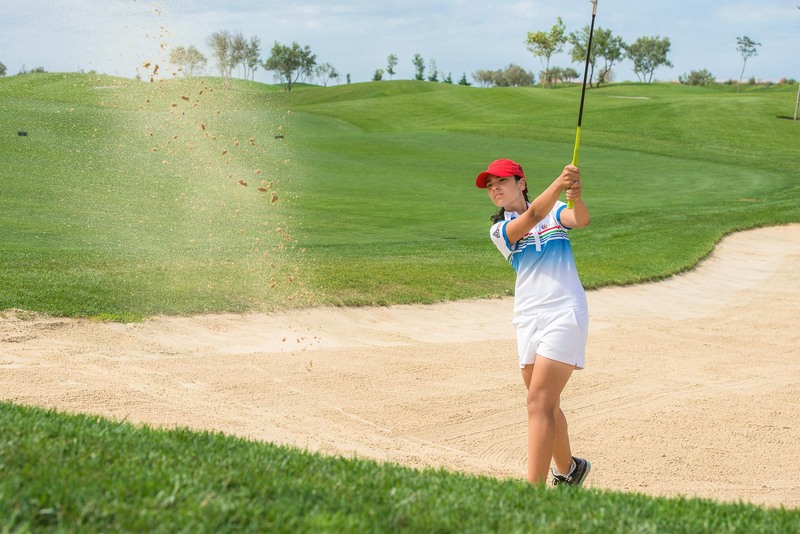 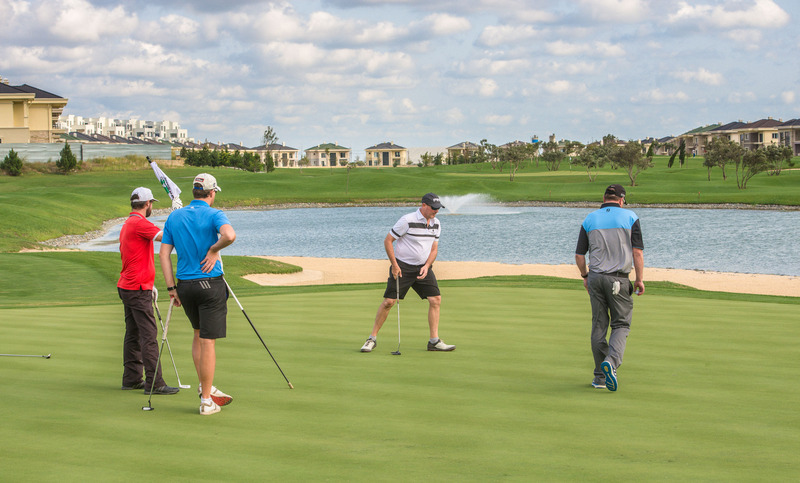 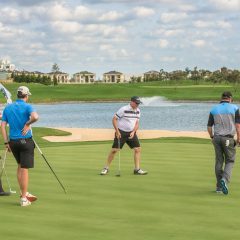 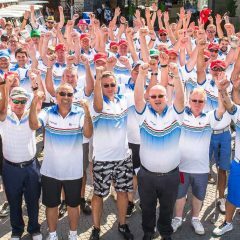 Their scores from day 1 were added to the team score on day 2, with prizes awarded for many different categories covering both days and the overall prize. 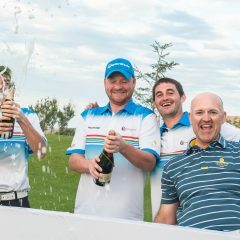 The winning team combined well, with day 1 scores of 70,80,75,77 and their day 2 team score of 59.5, giving a total score of 360.50. 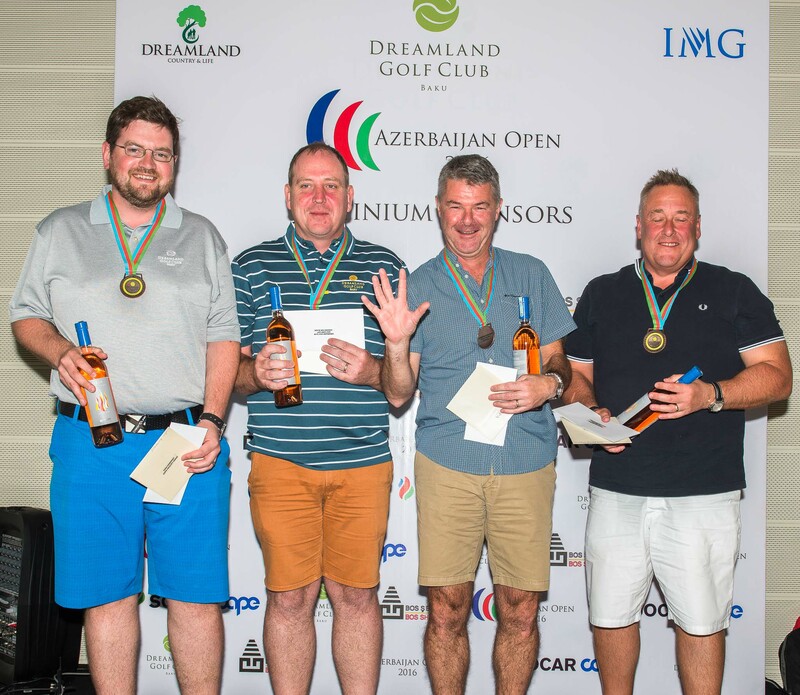 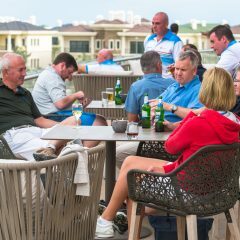 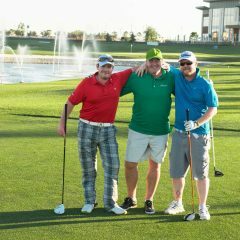 They received some fantastic prizes including flights to Dubai from Fly Dubai, a 4 ball voucher to play The Emirates Golf Club, Fairmont ESPA vouchers and some Fireland Wines. 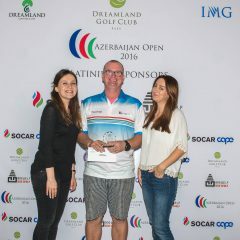 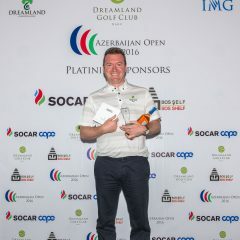 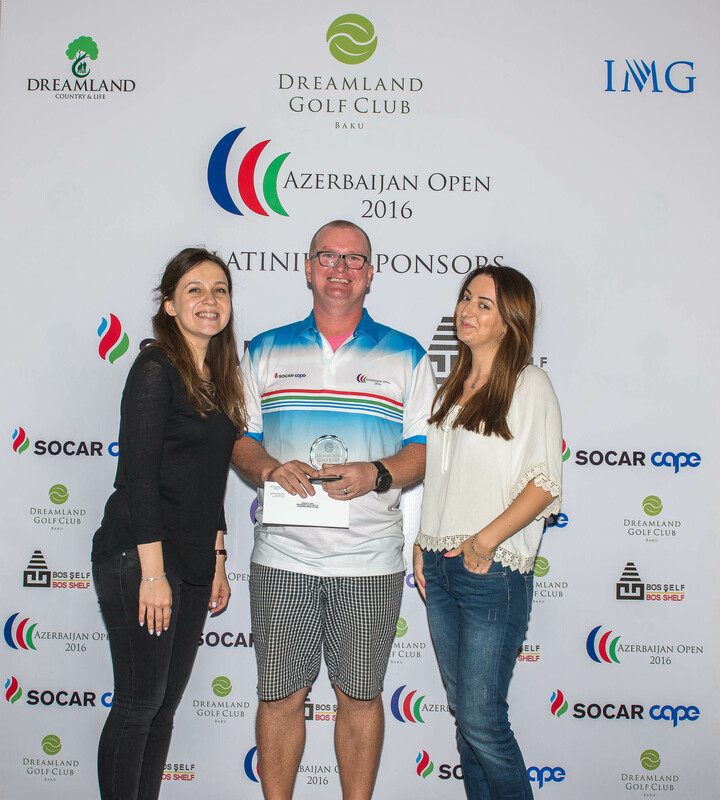 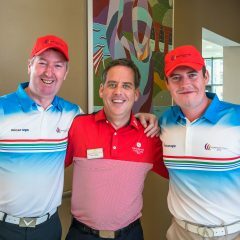 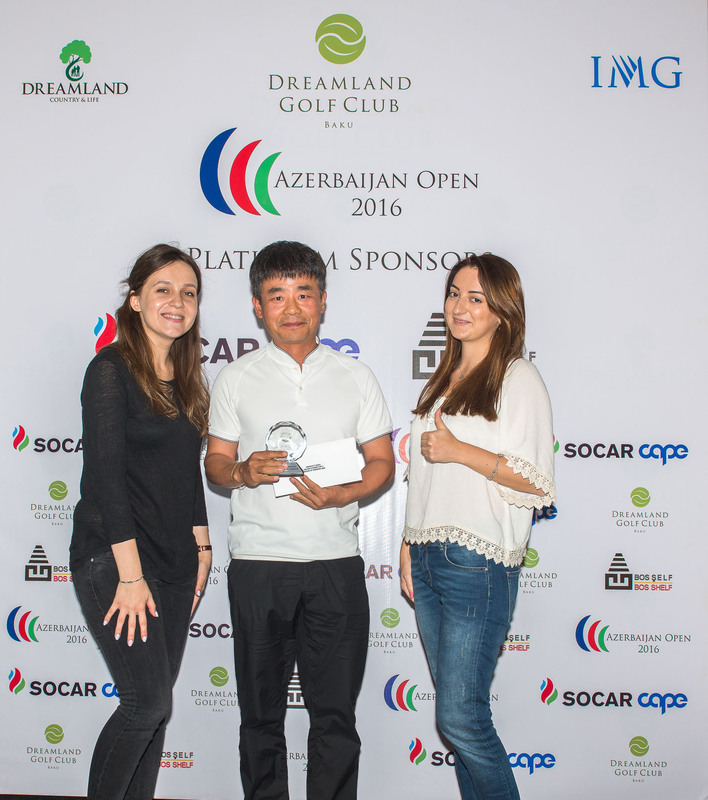 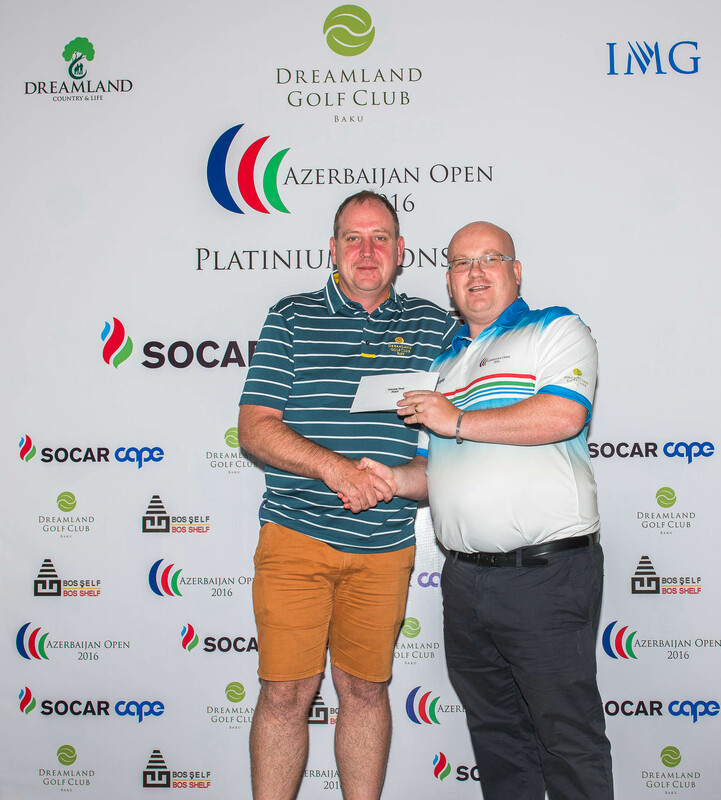 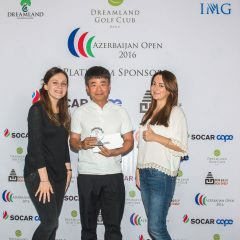 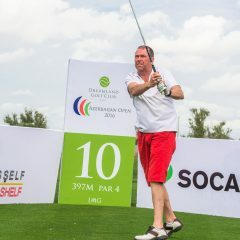 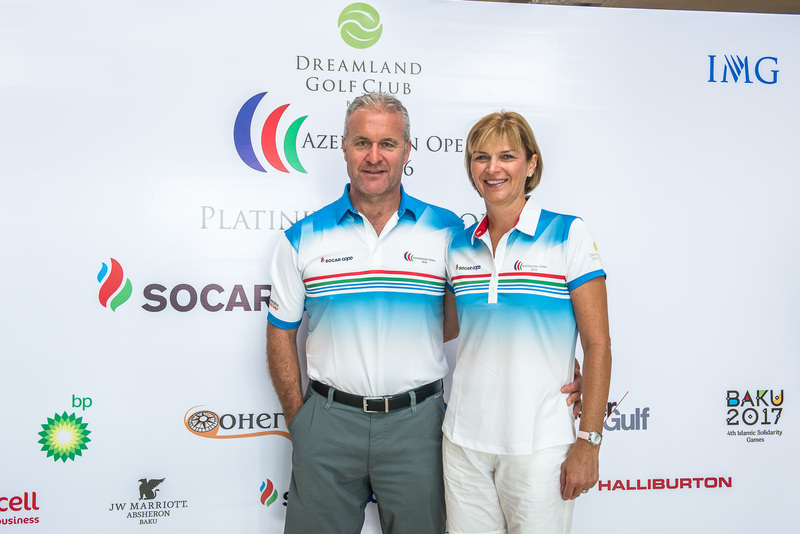 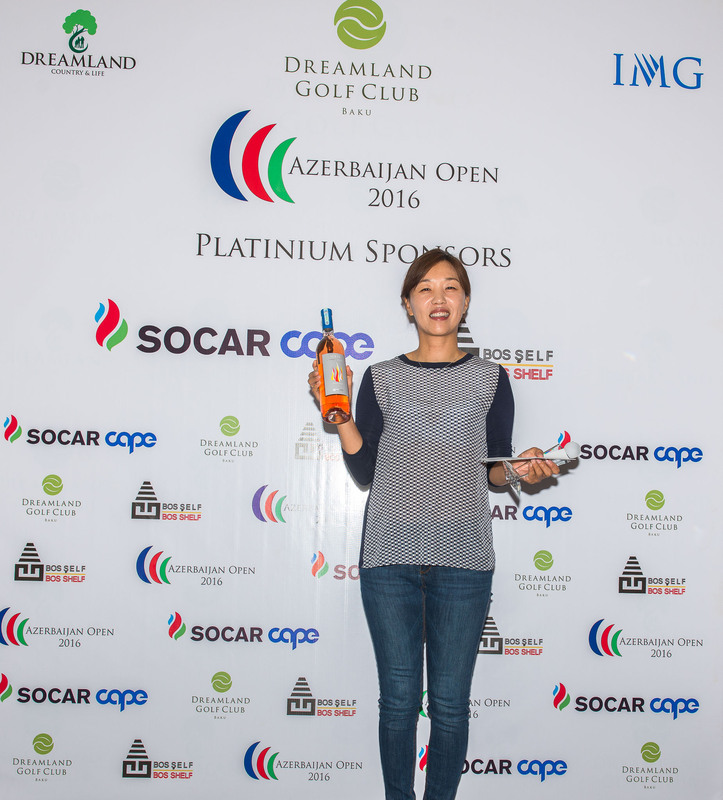 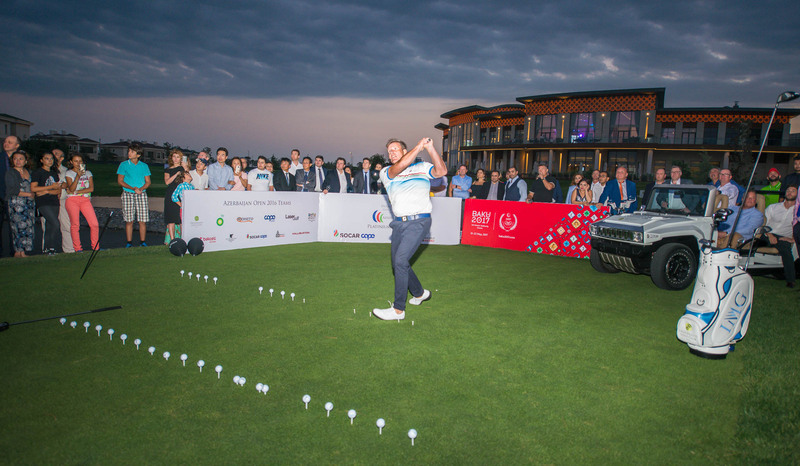 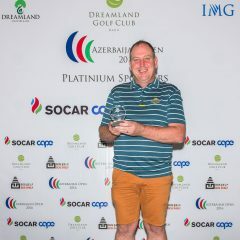 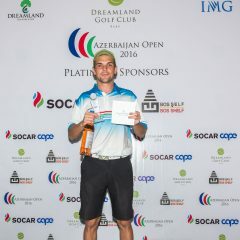 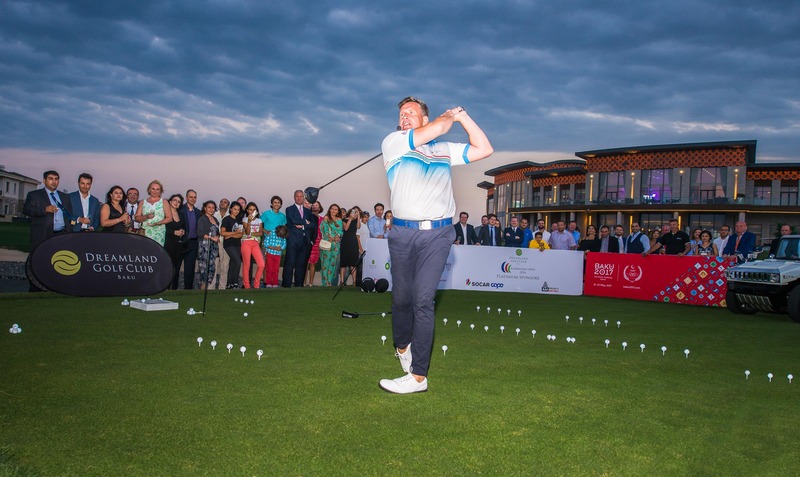 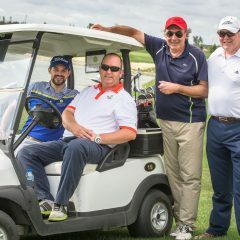 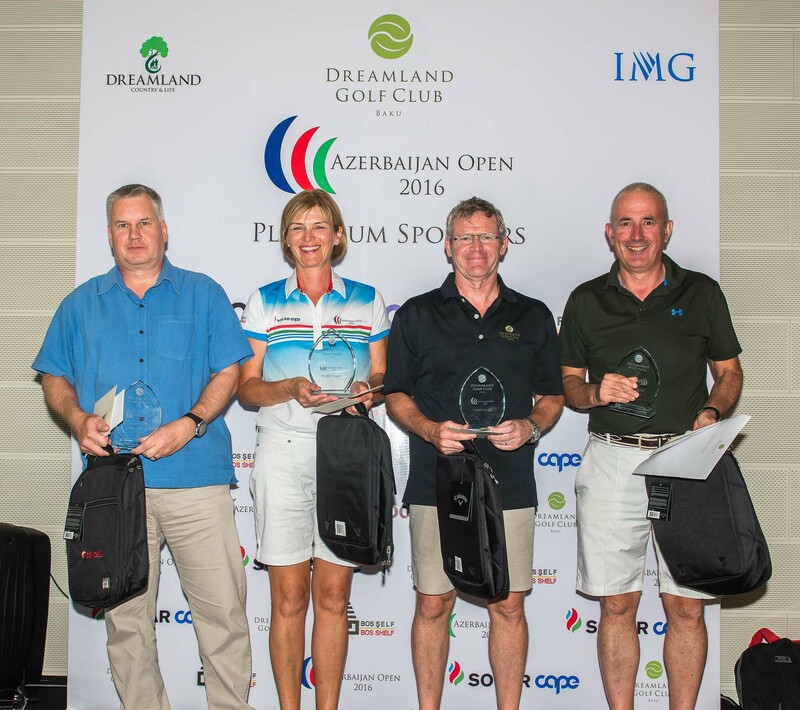 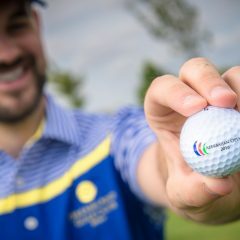 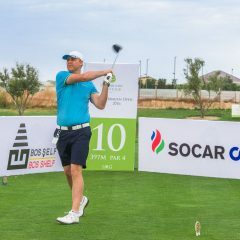 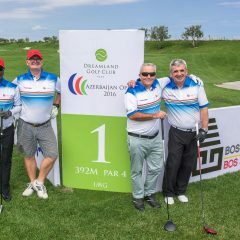 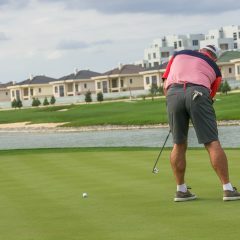 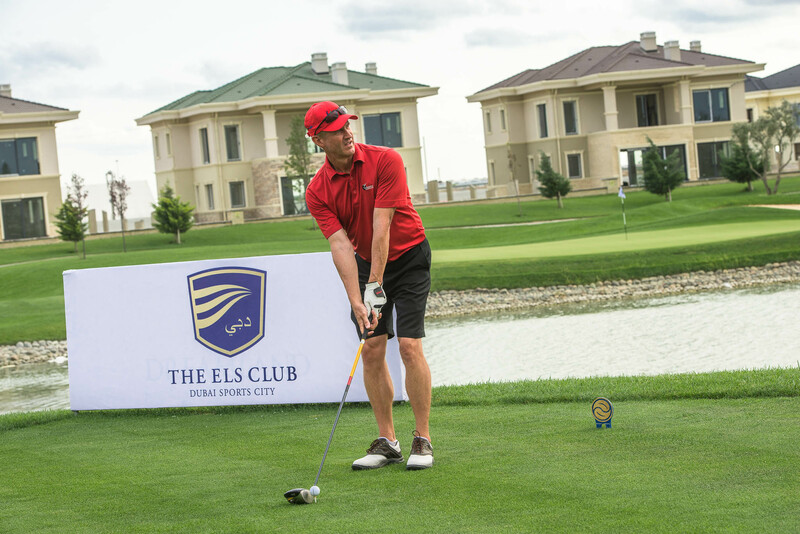 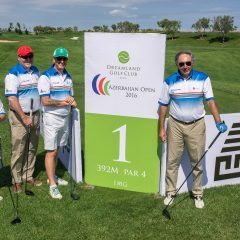 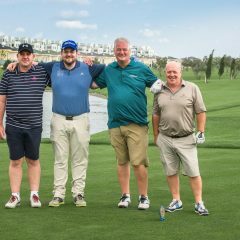 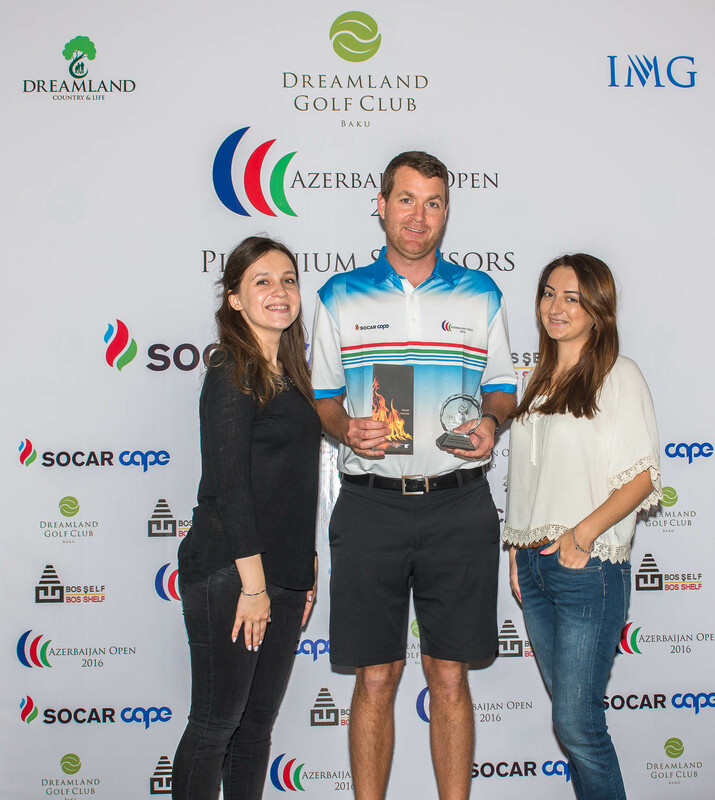 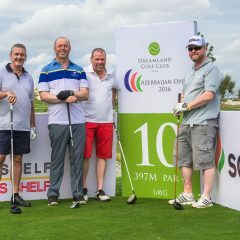 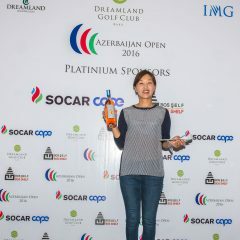 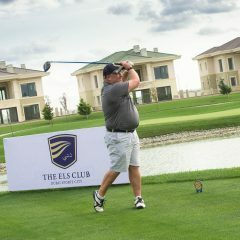 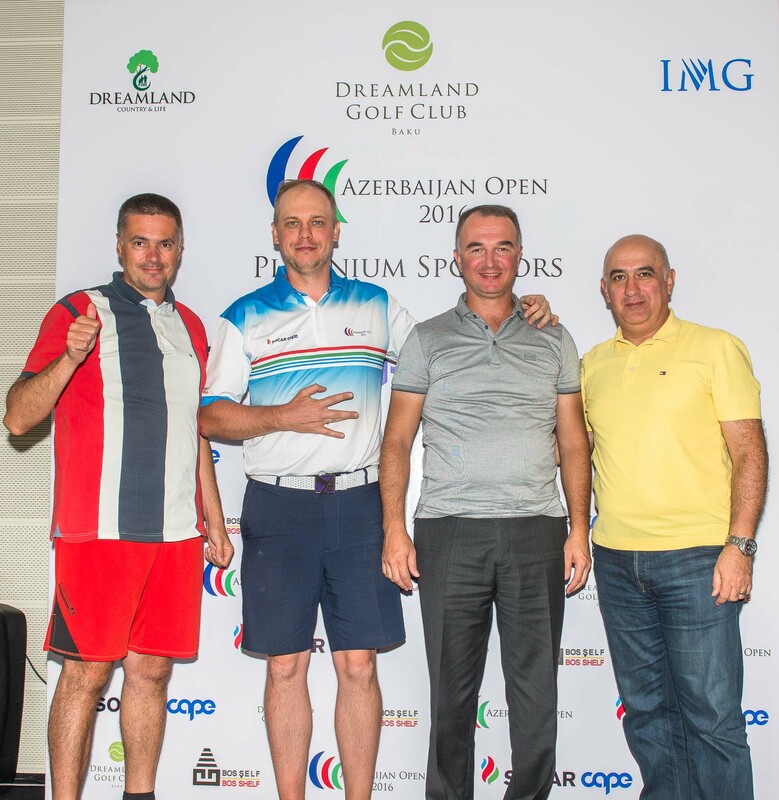 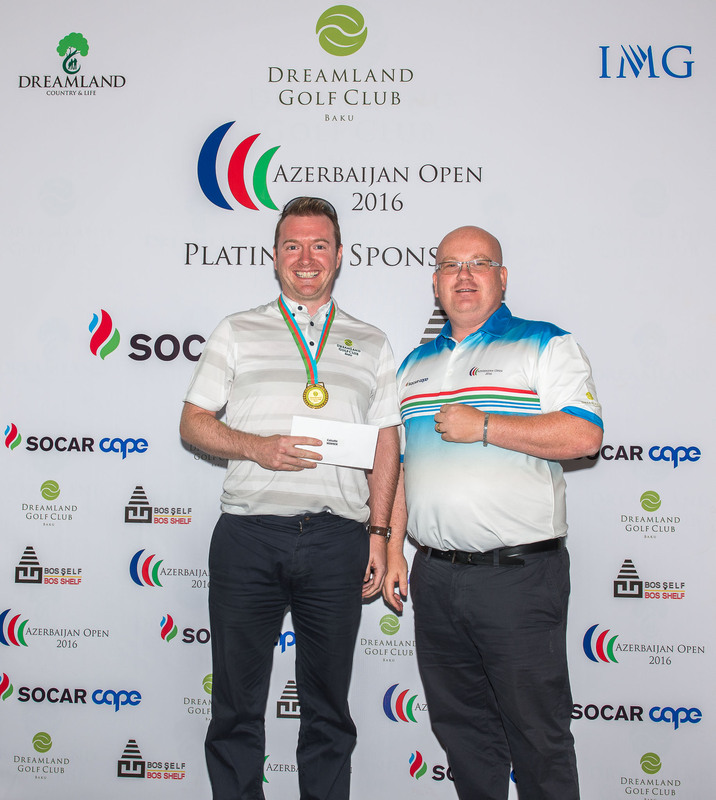 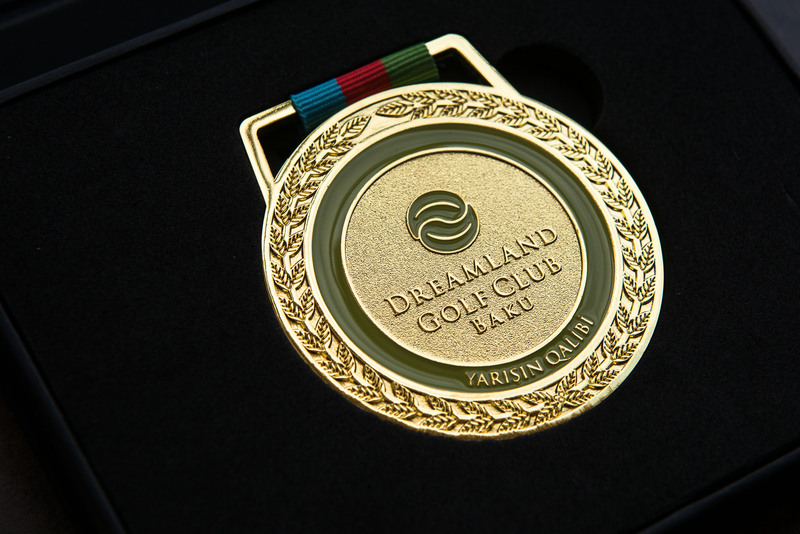 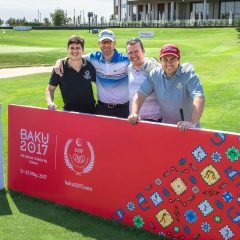 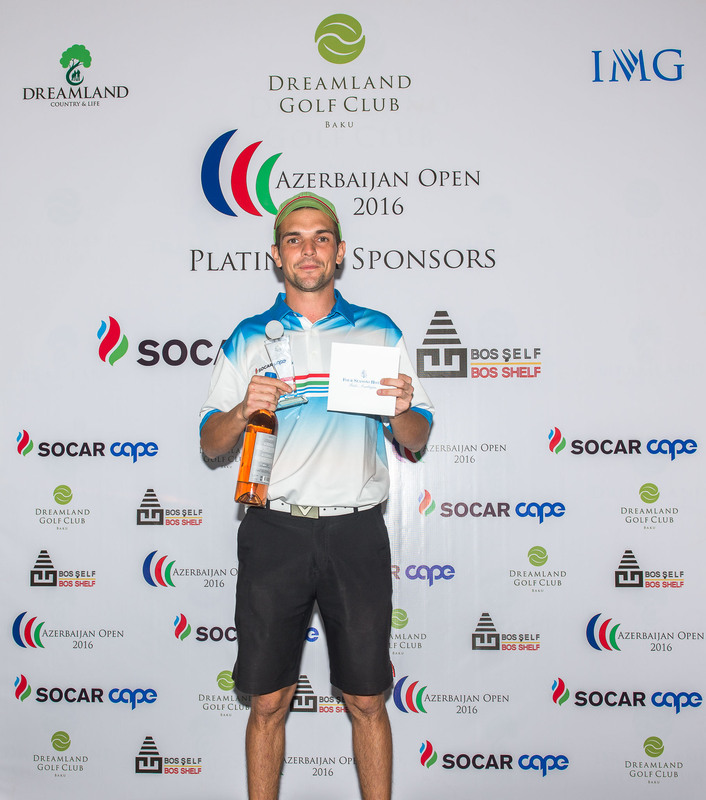 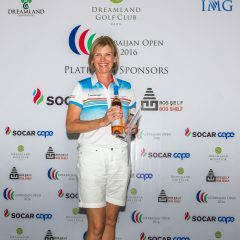 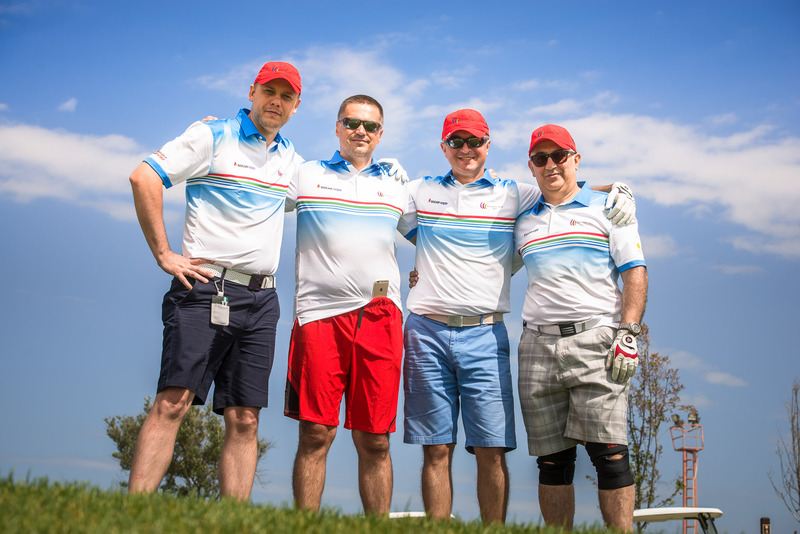 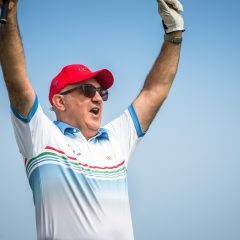 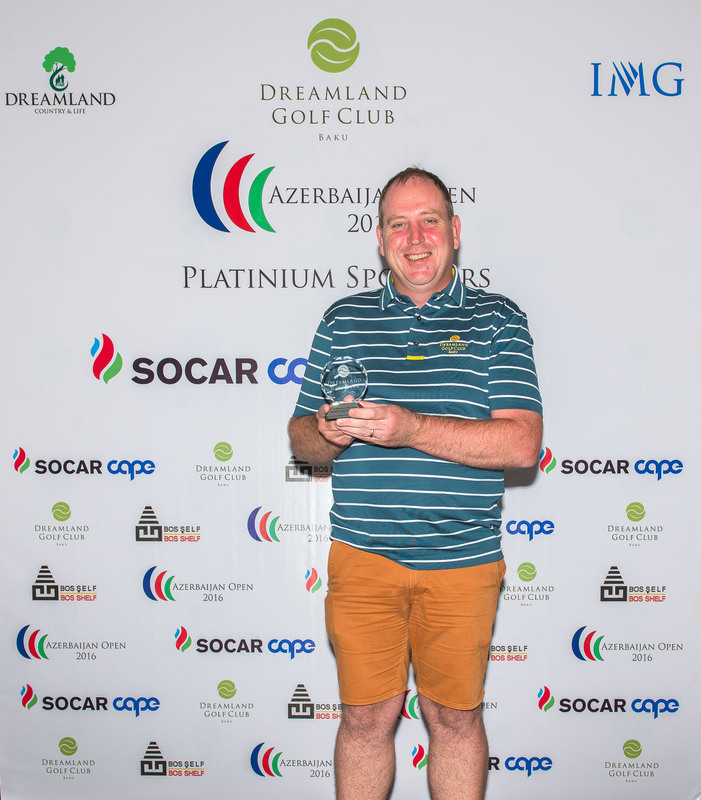 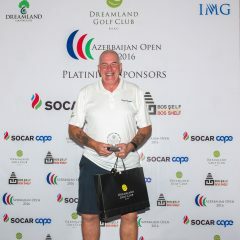 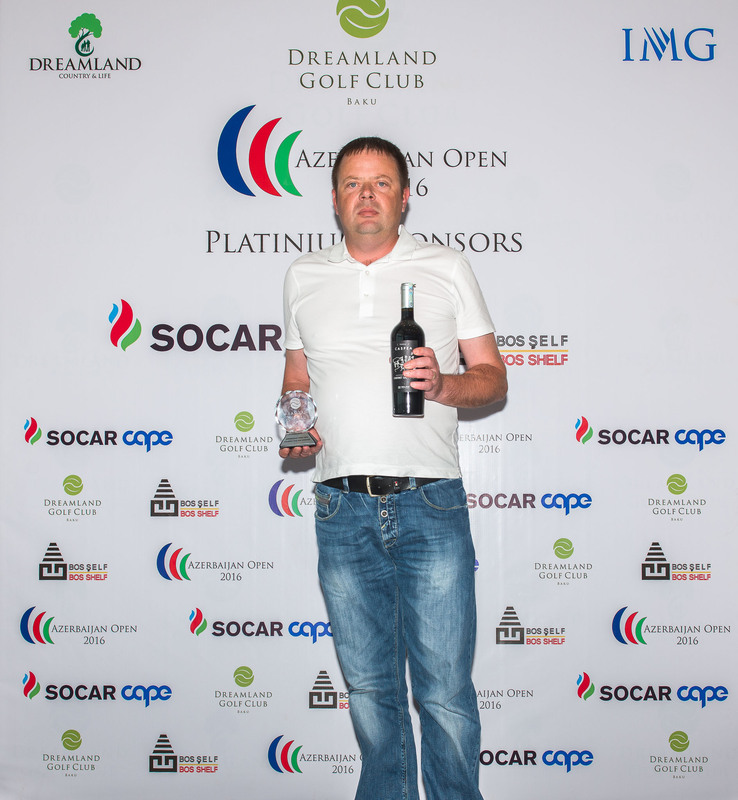 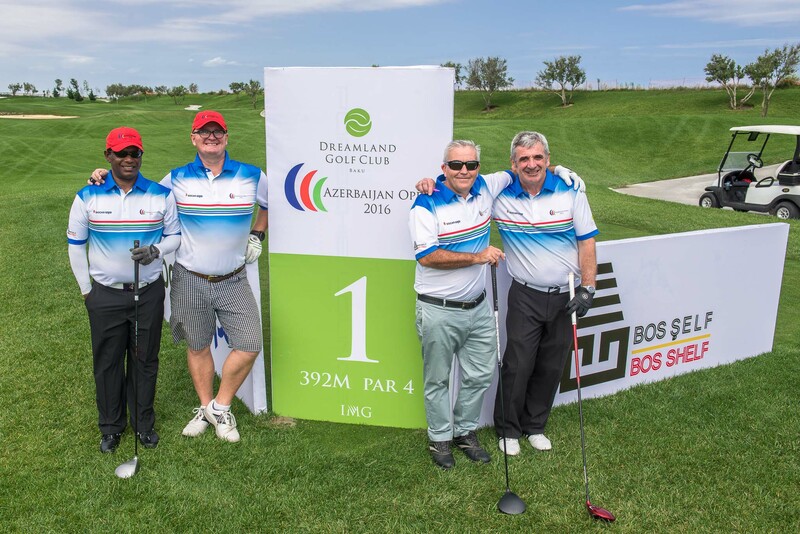 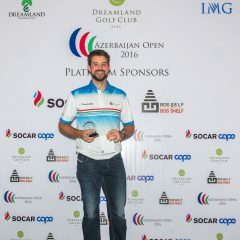 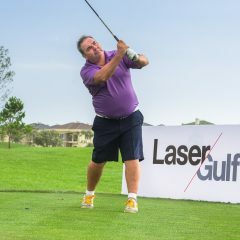 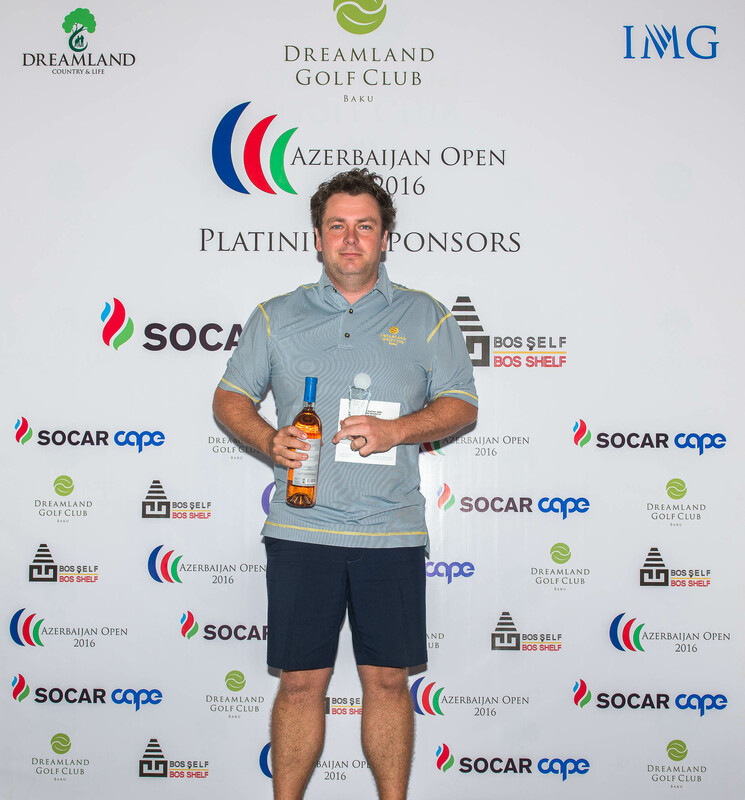 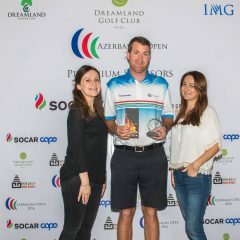 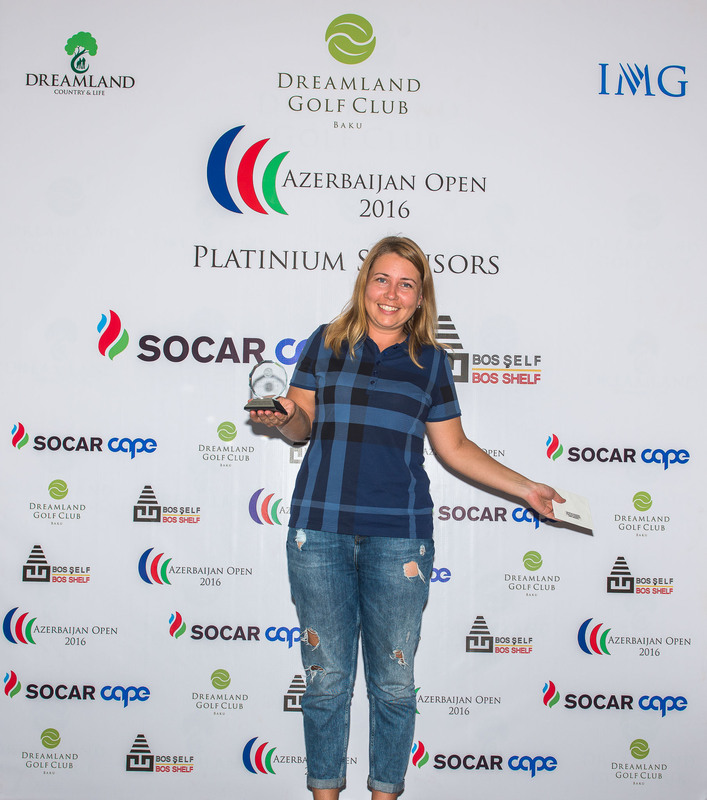 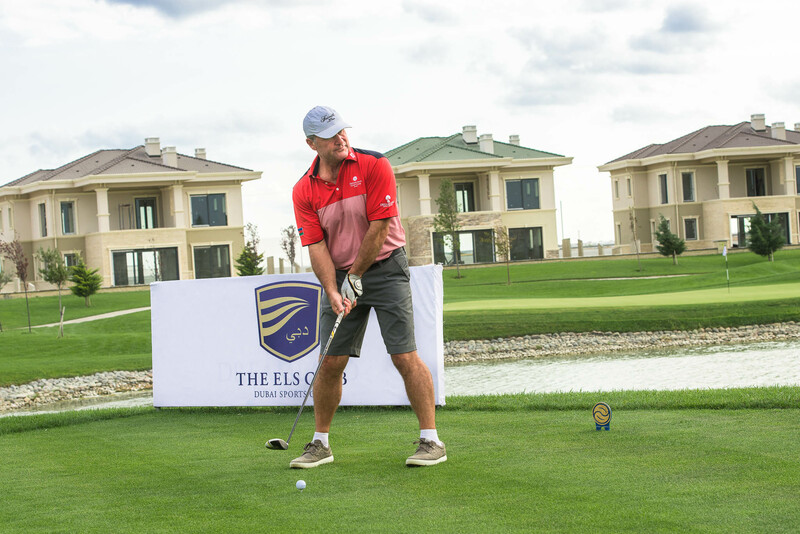 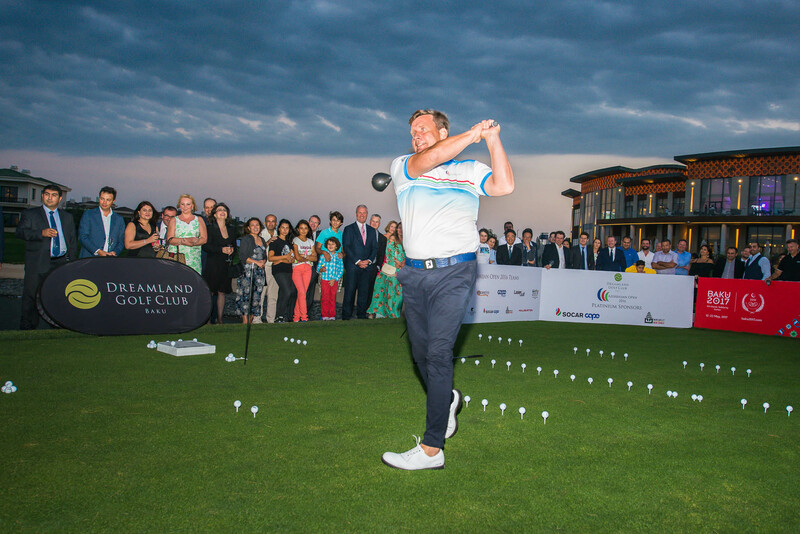 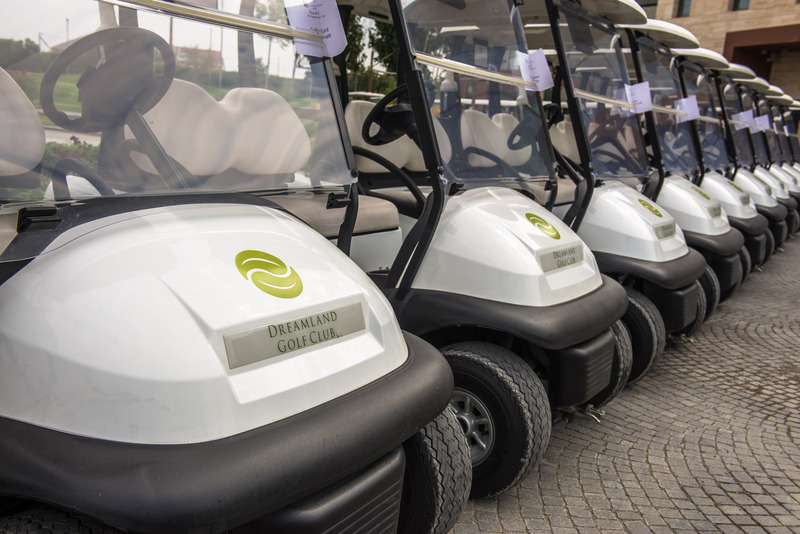 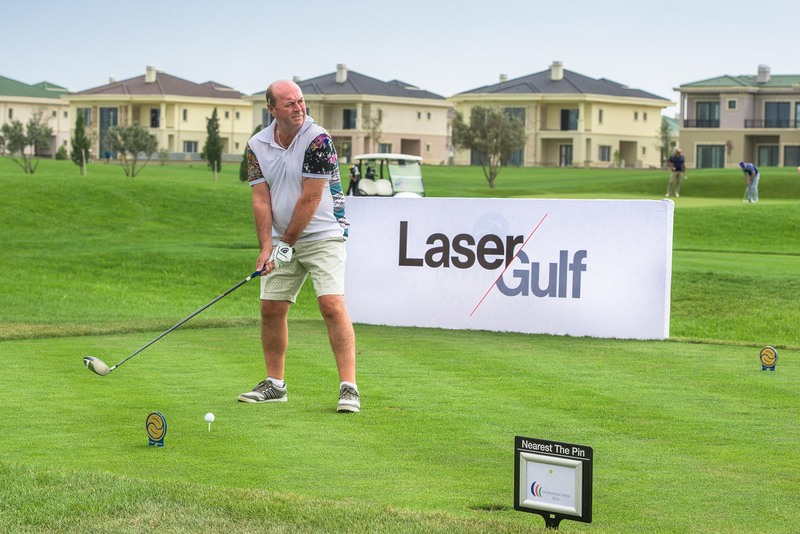 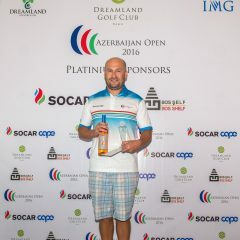 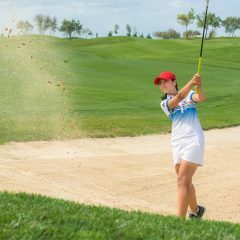 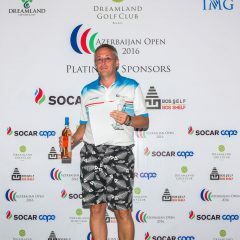 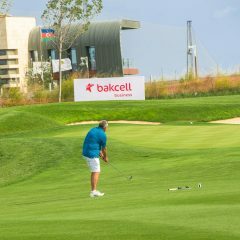 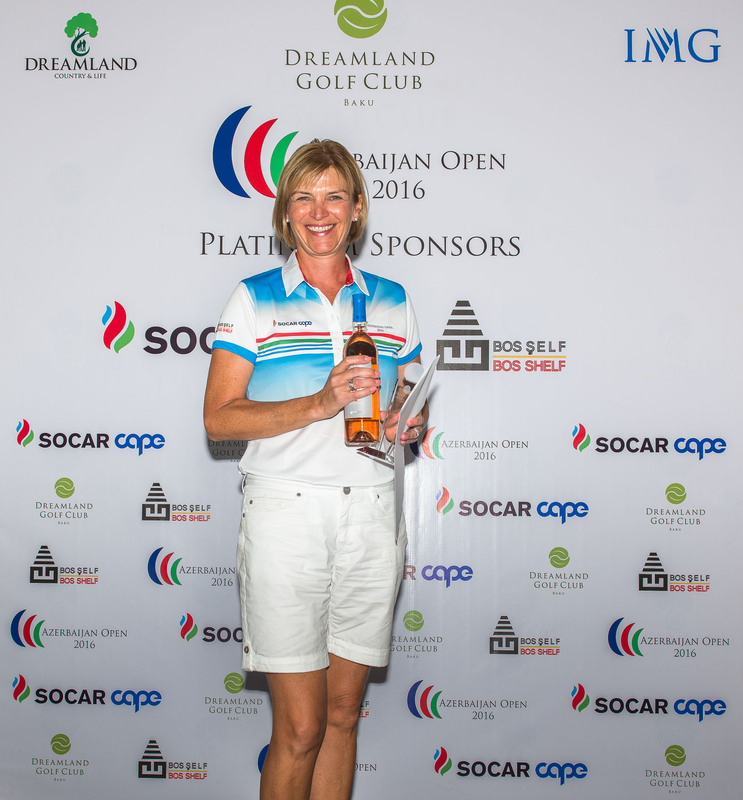 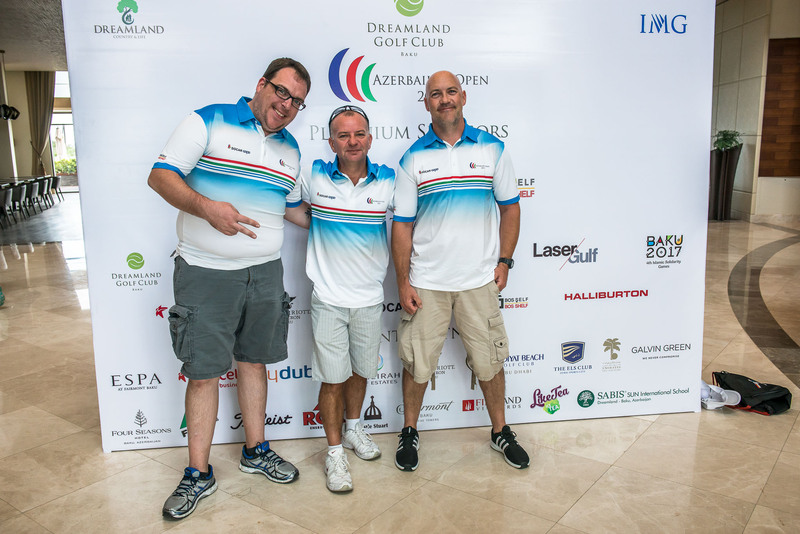 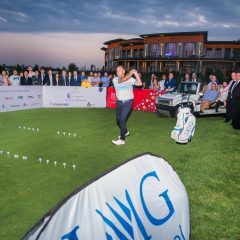 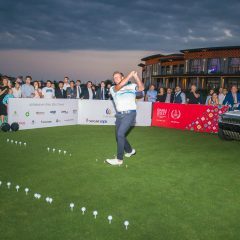 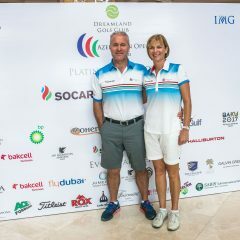 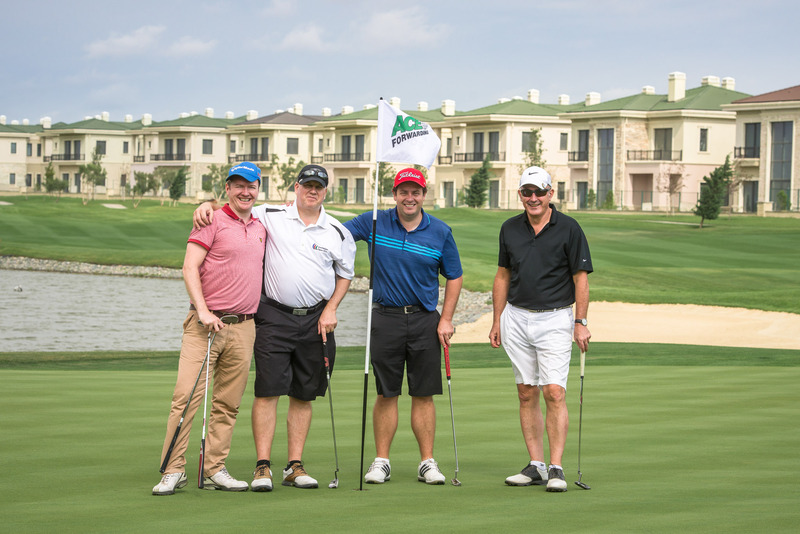 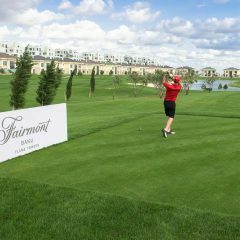 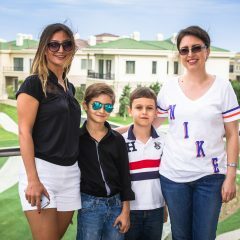 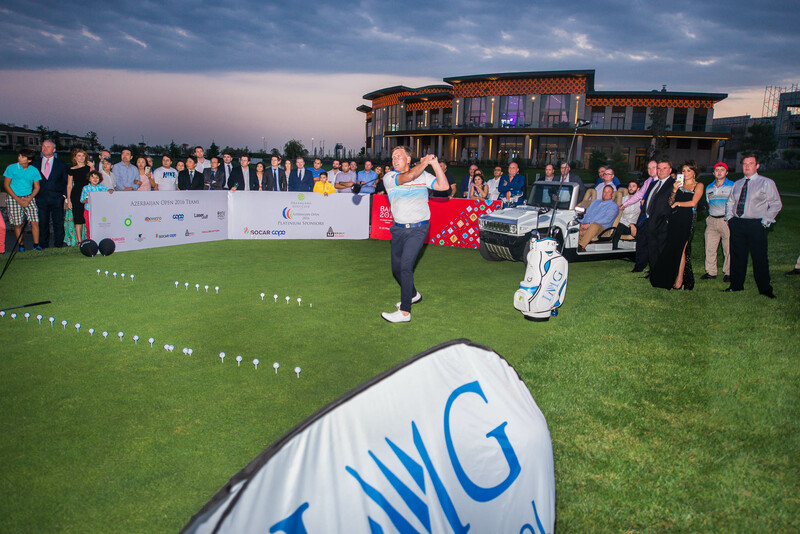 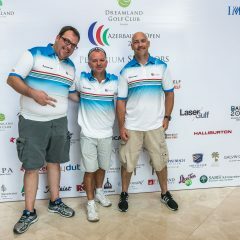 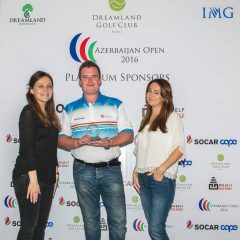 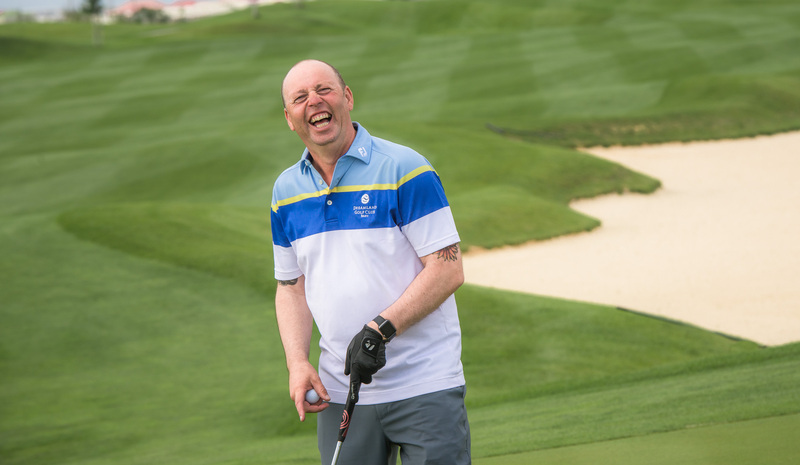 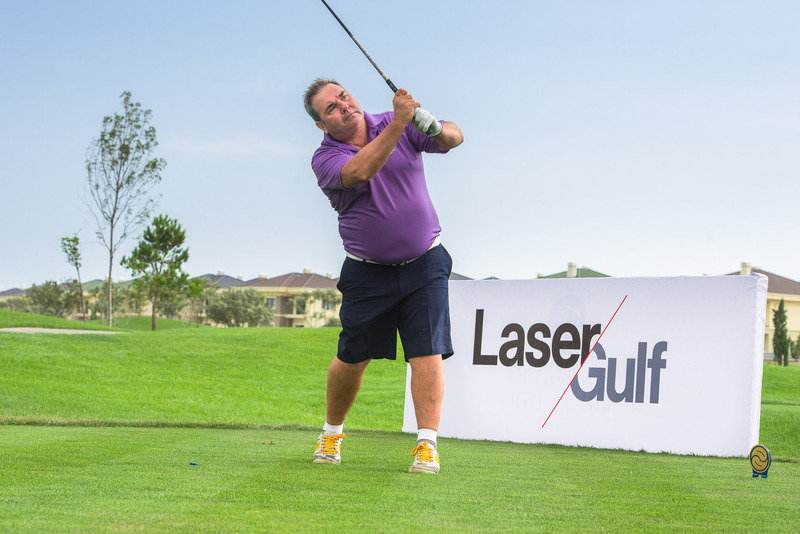 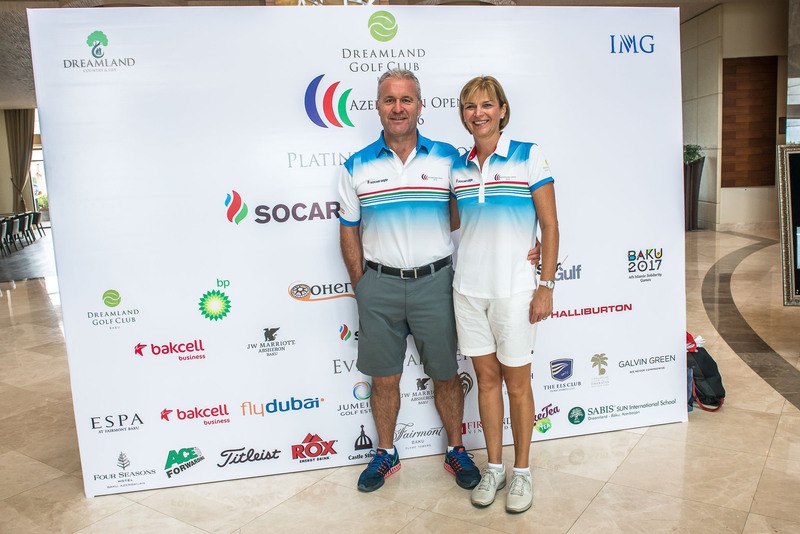 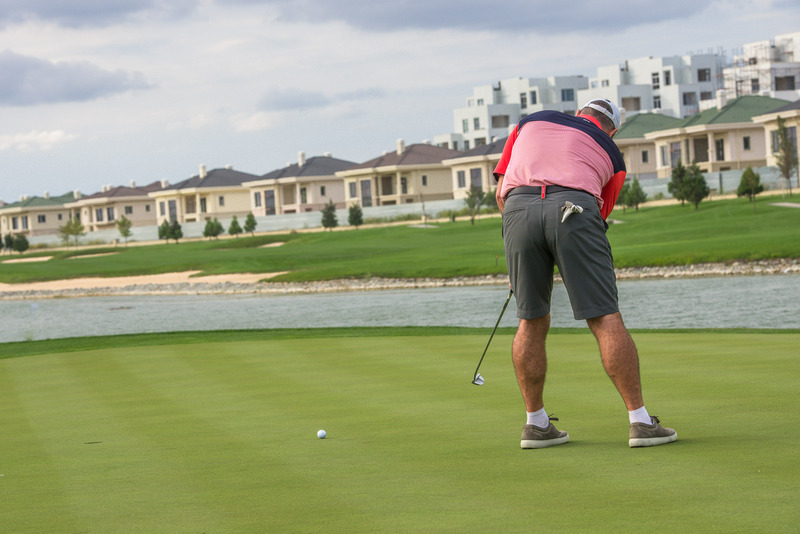 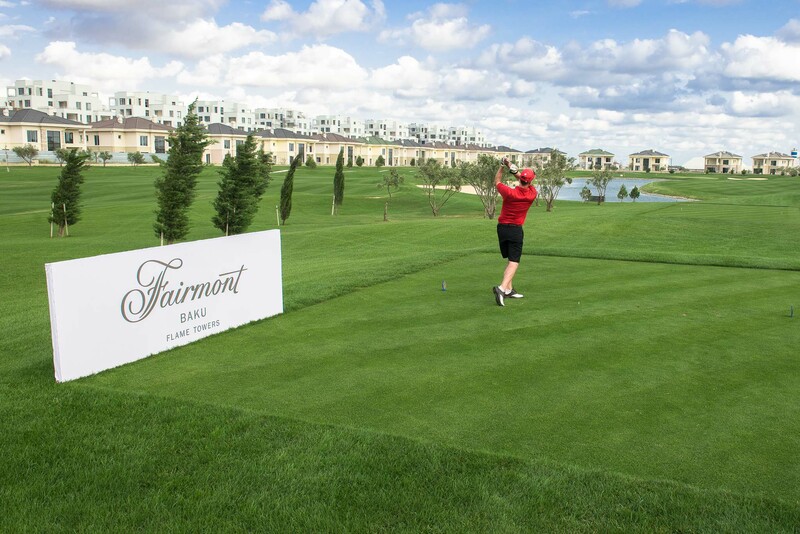 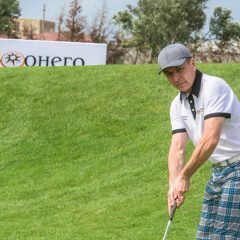 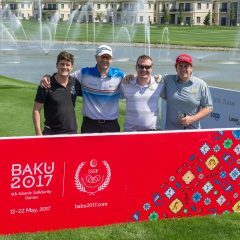 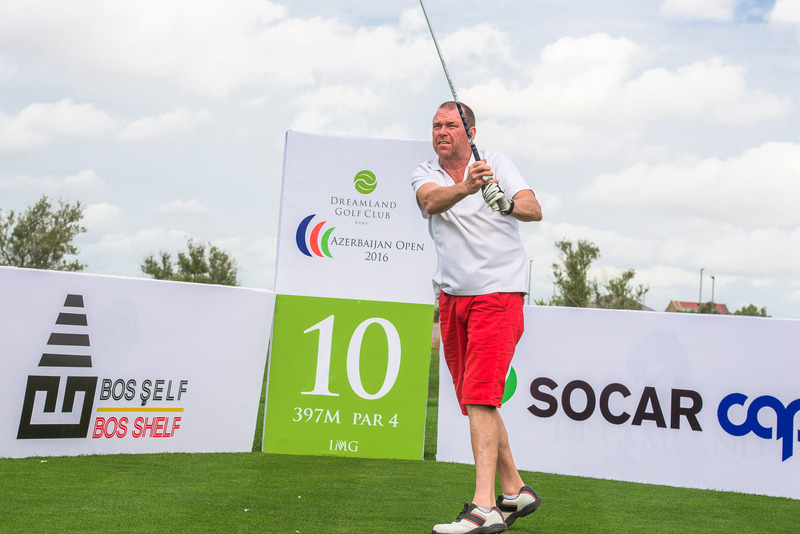 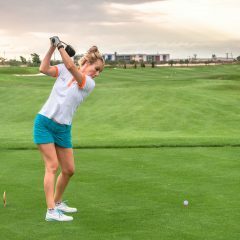 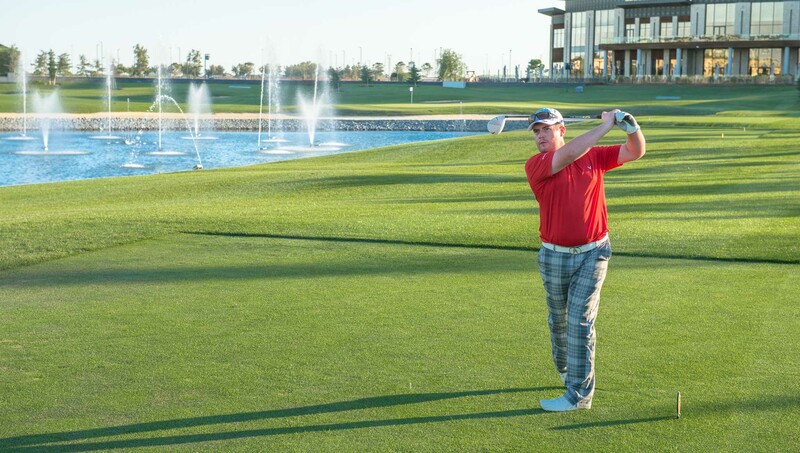 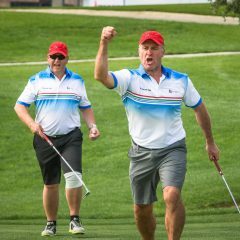 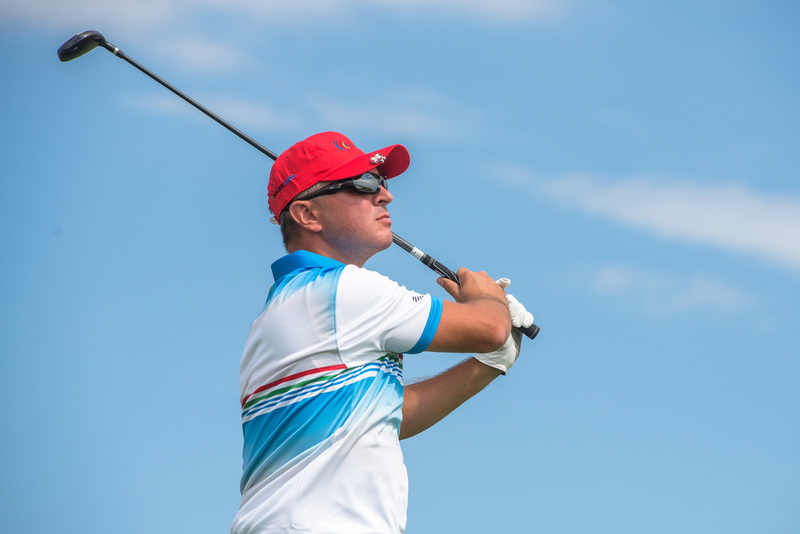 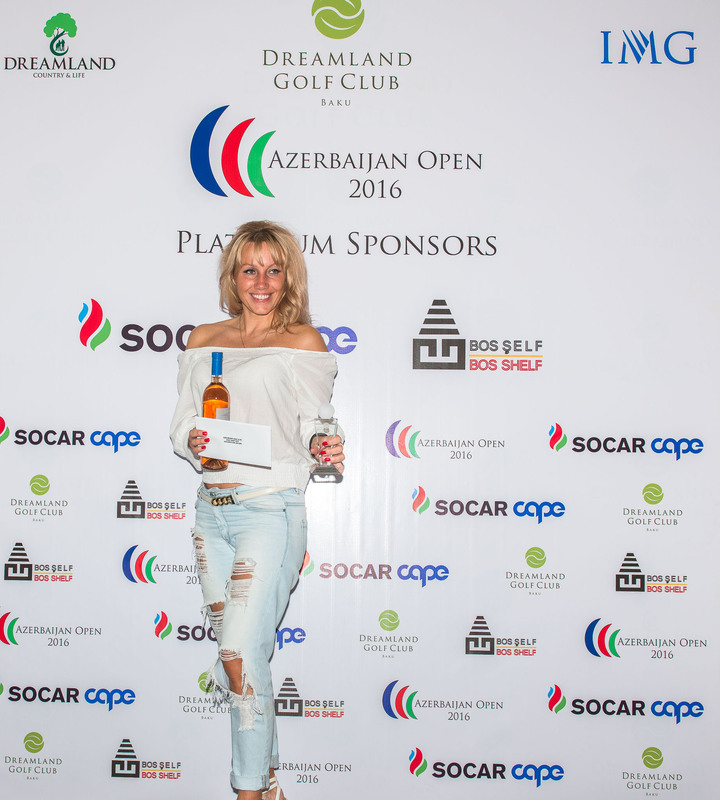 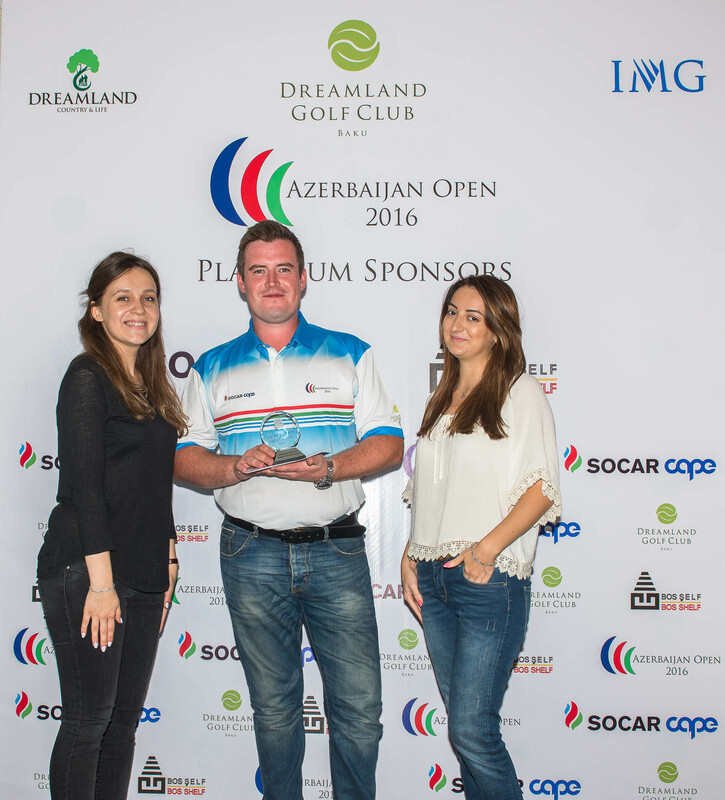 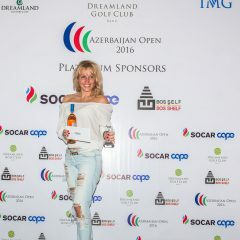 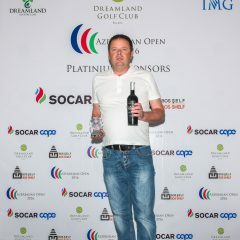 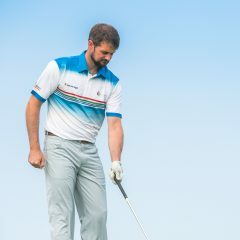 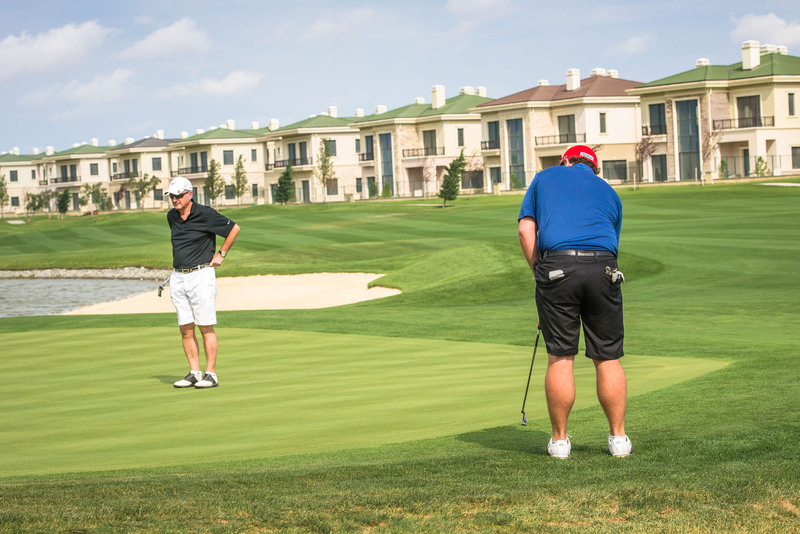 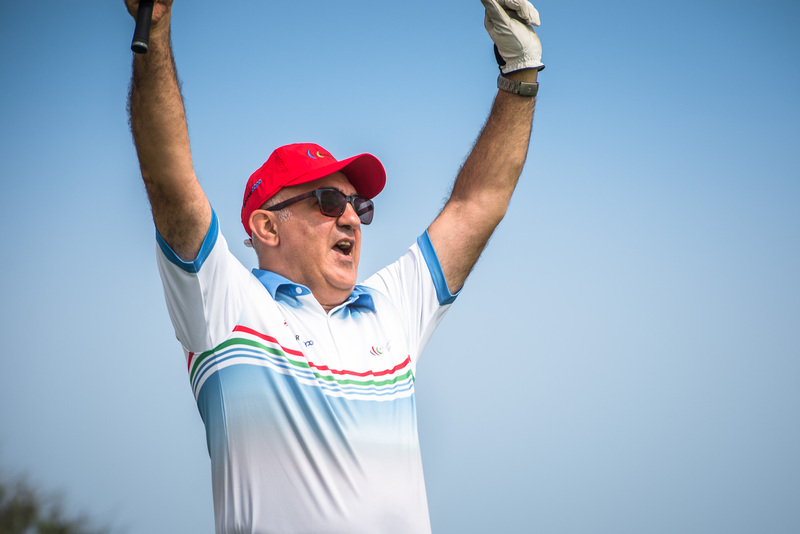 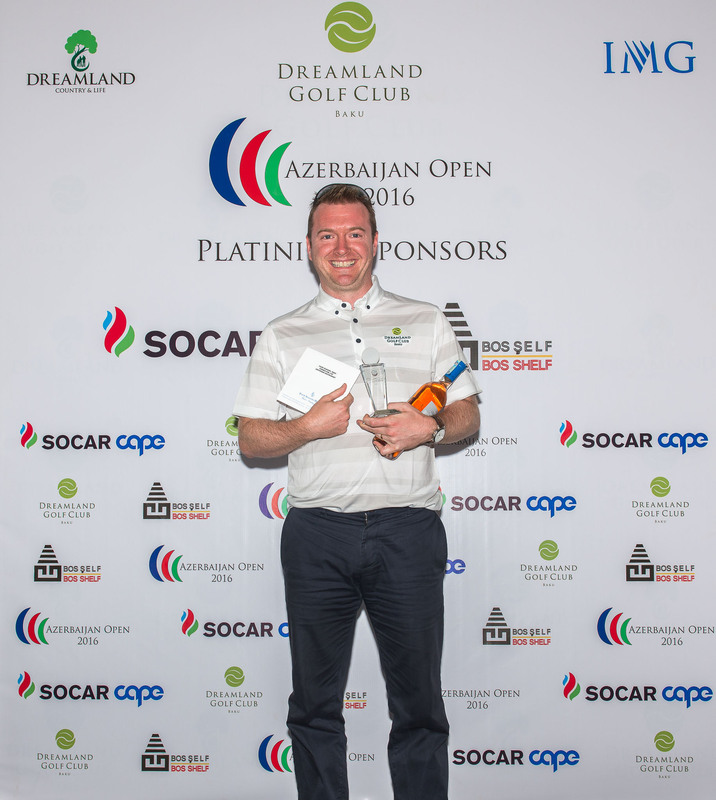 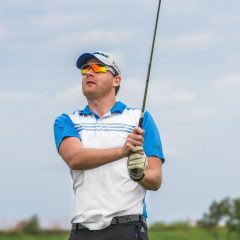 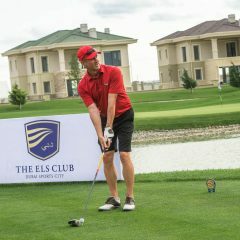 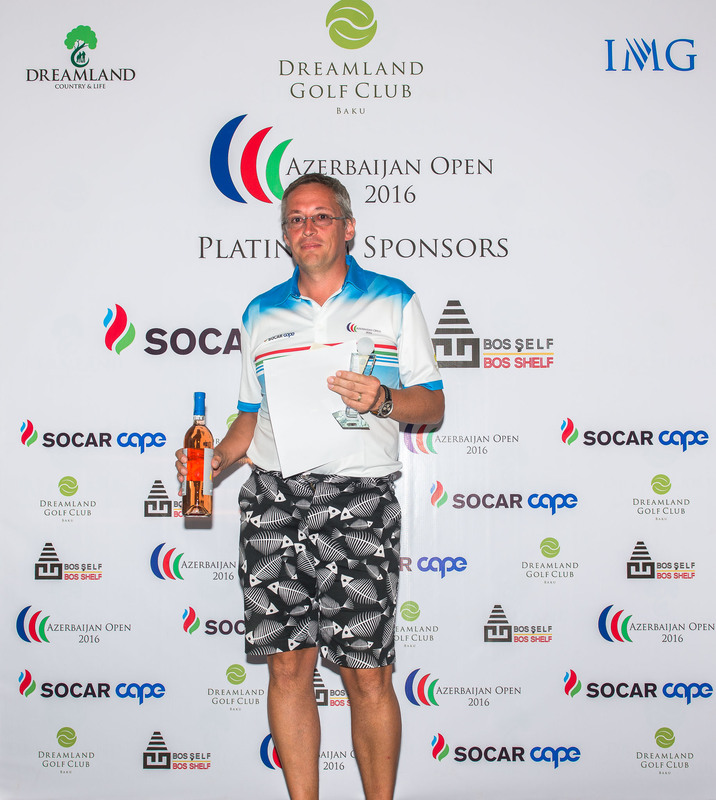 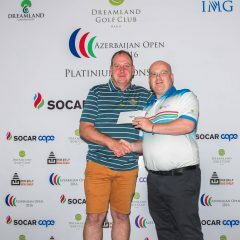 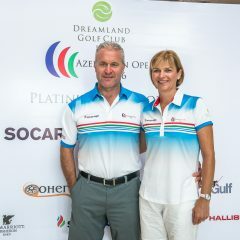 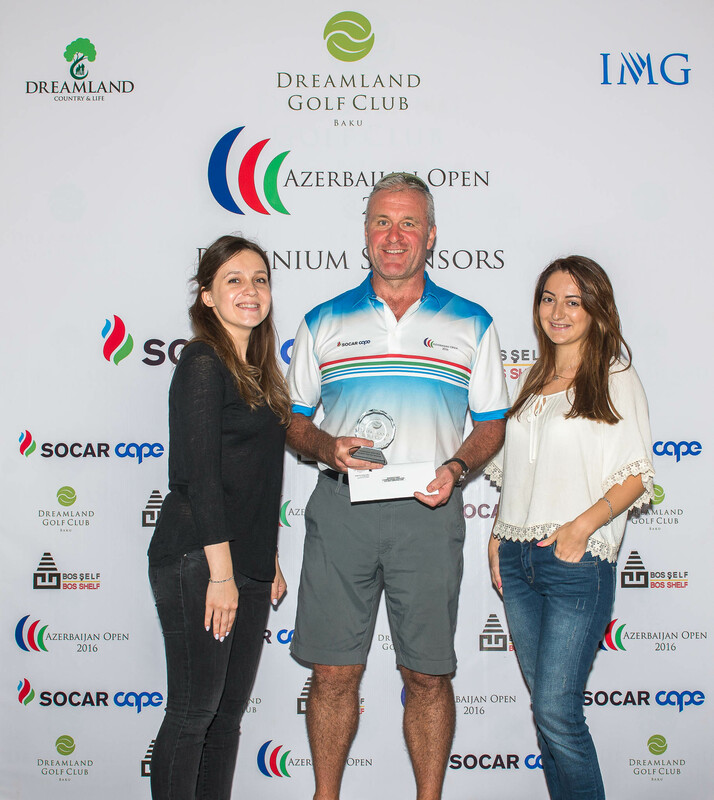 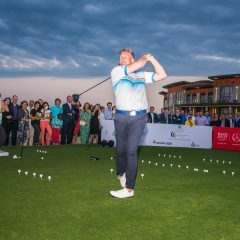 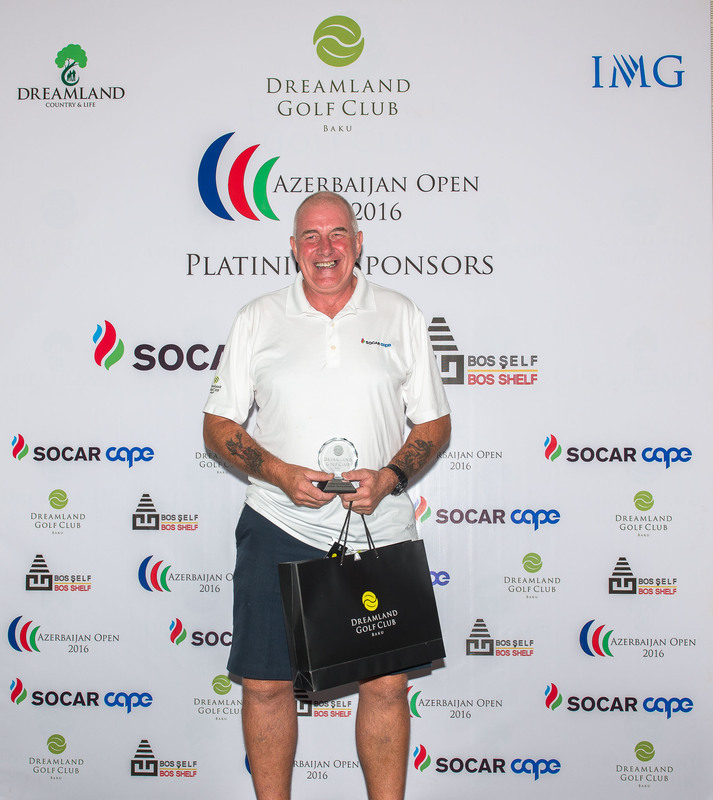 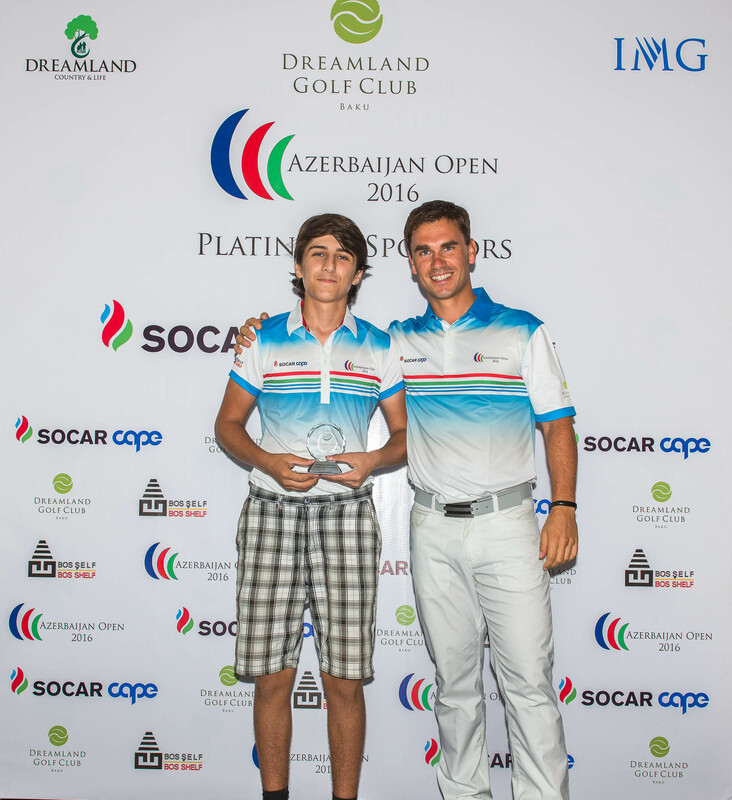 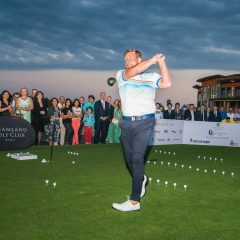 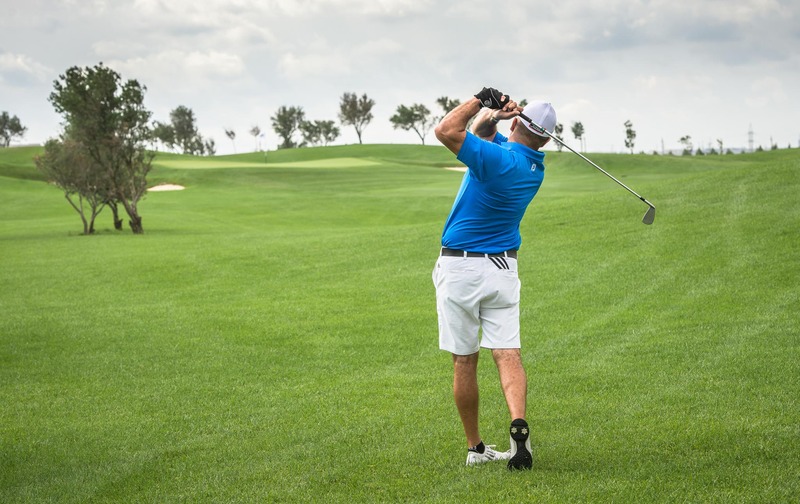 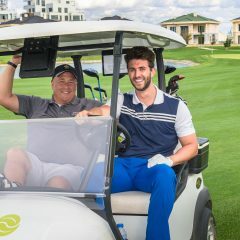 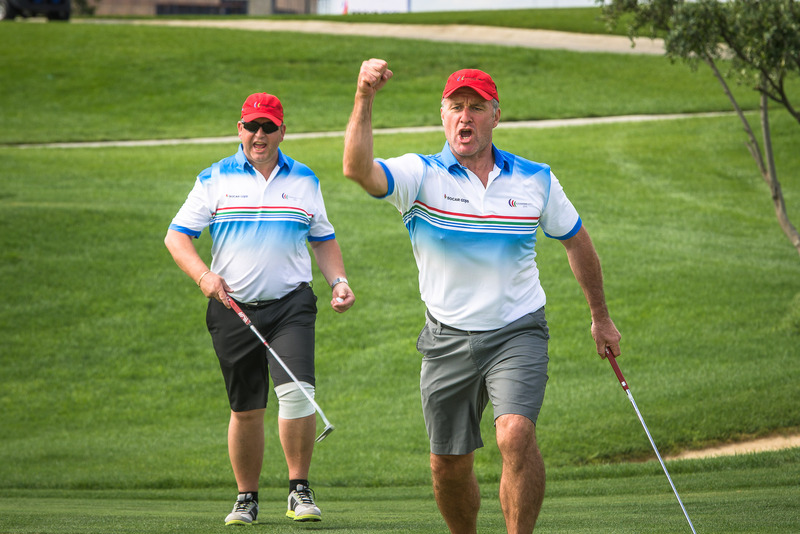 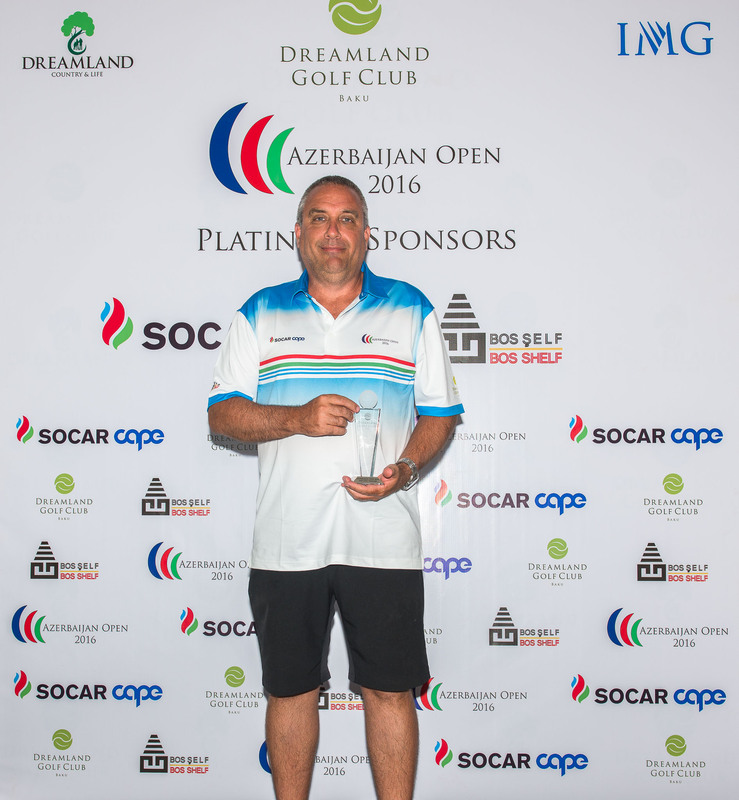 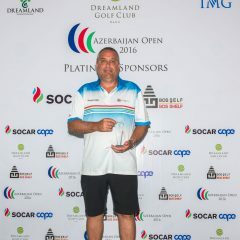 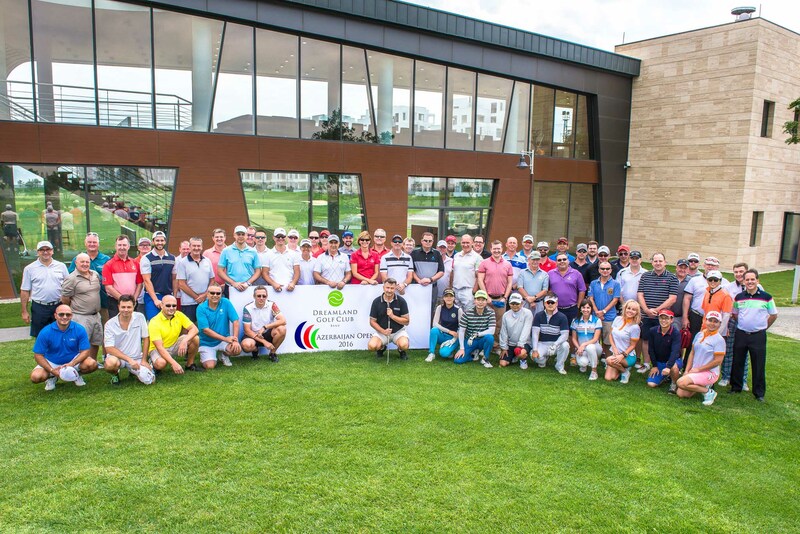 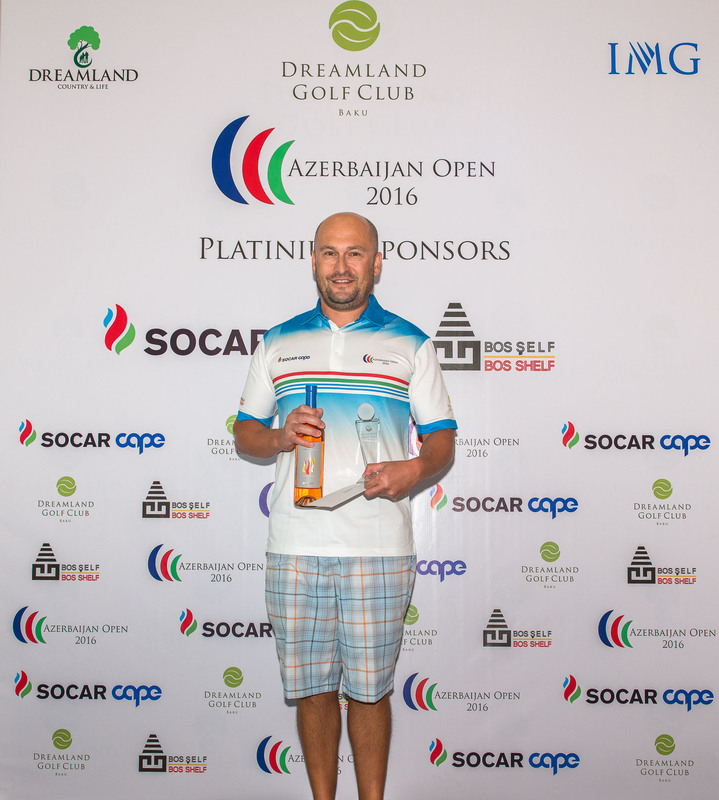 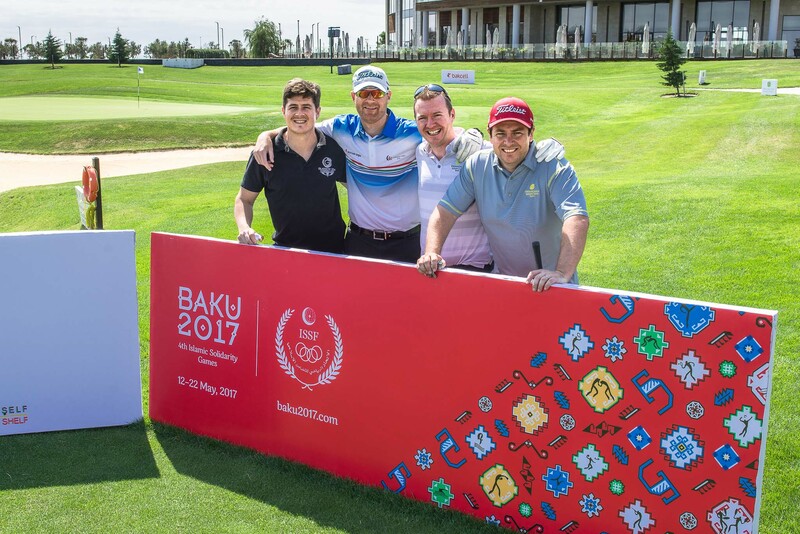 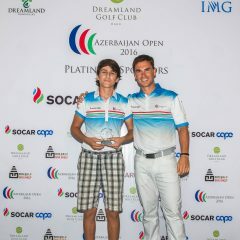 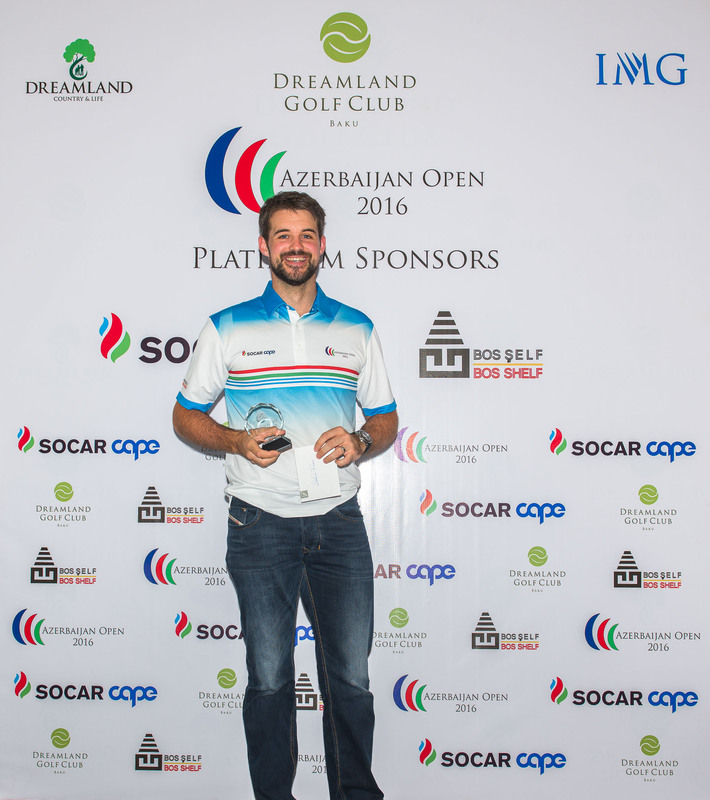 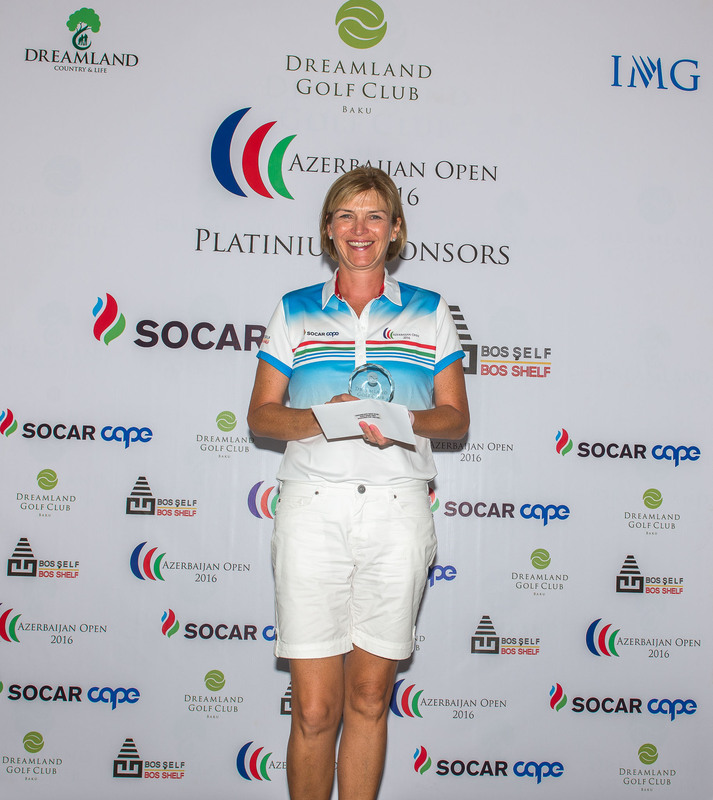 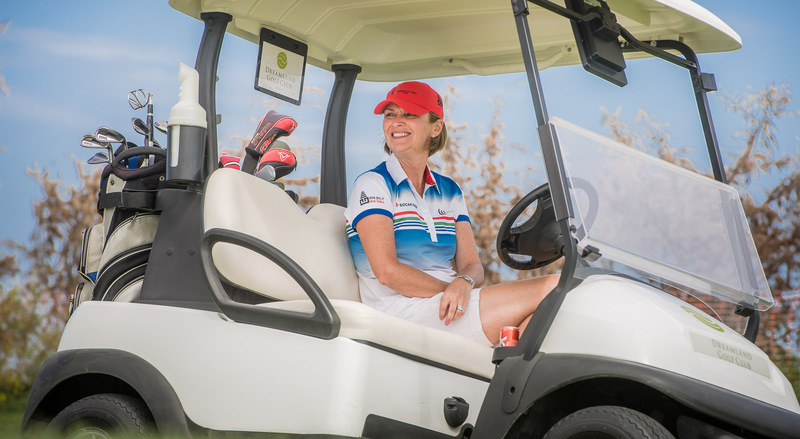 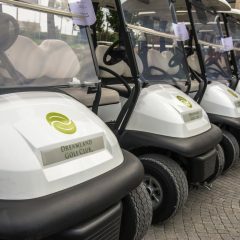 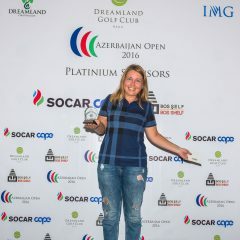 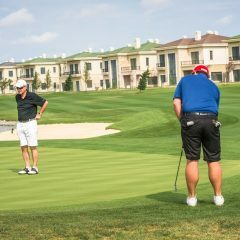 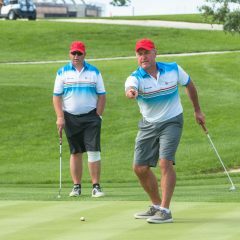 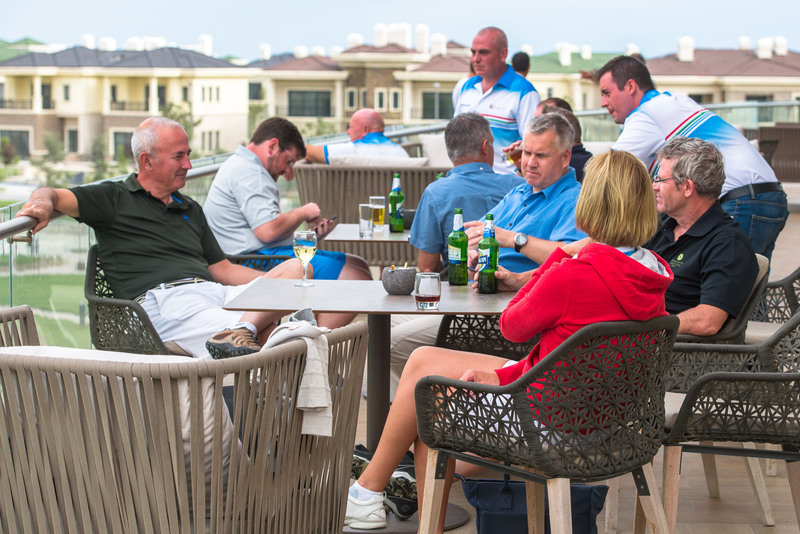 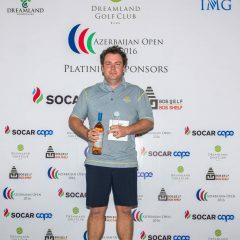 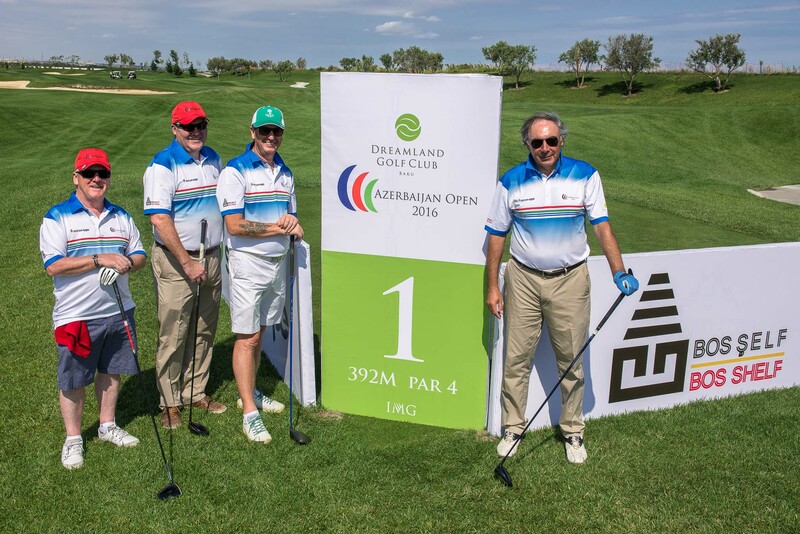 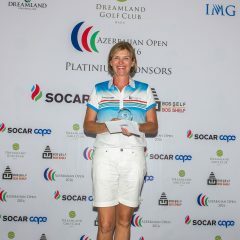 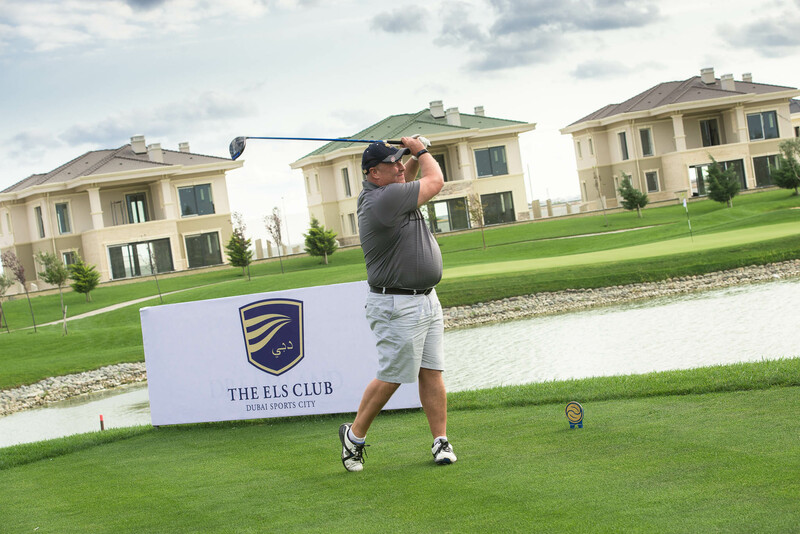 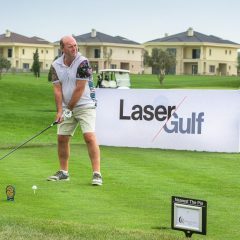 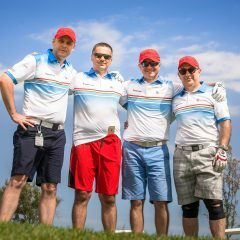 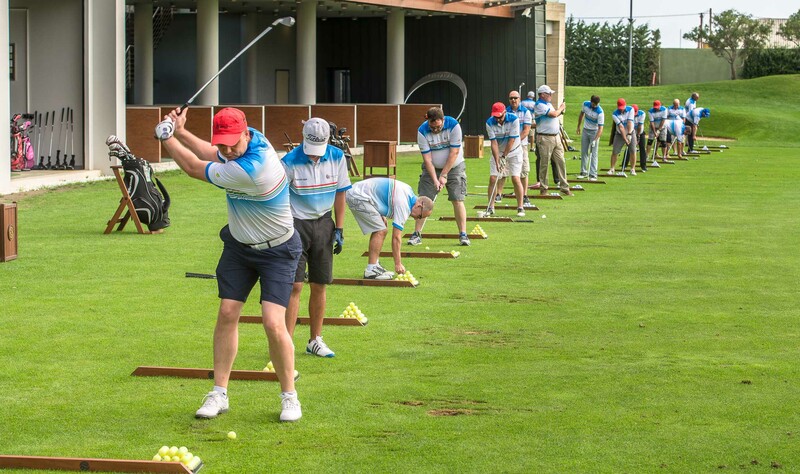 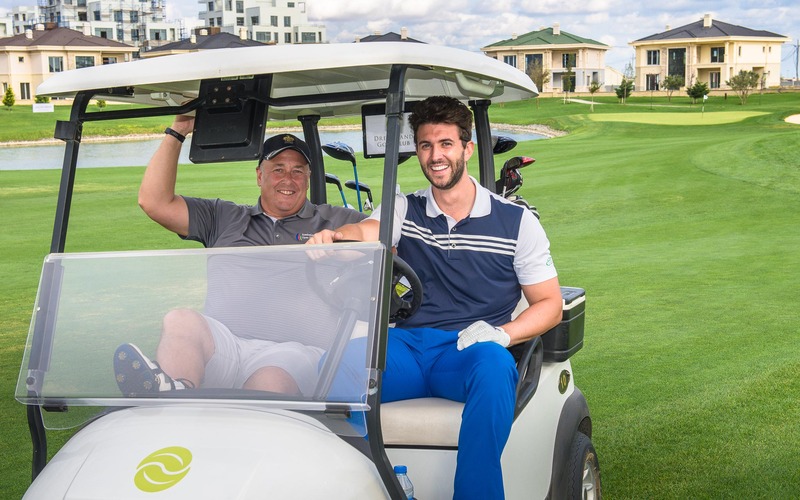 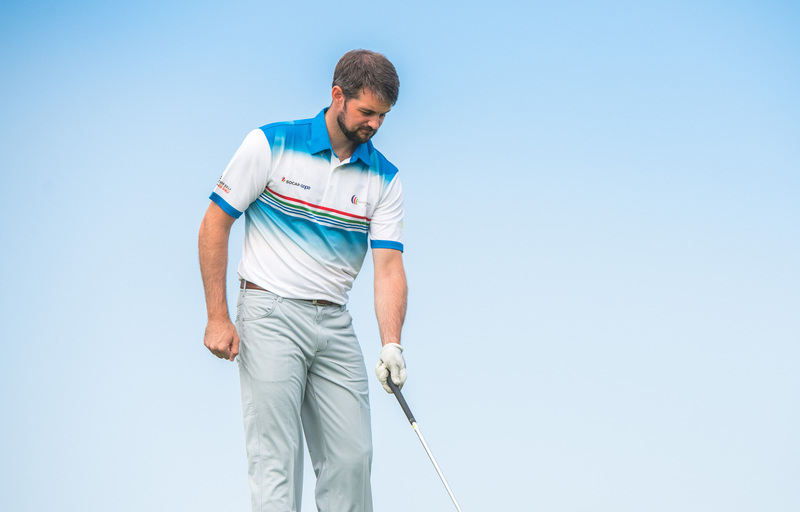 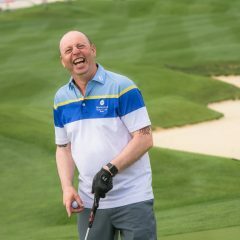 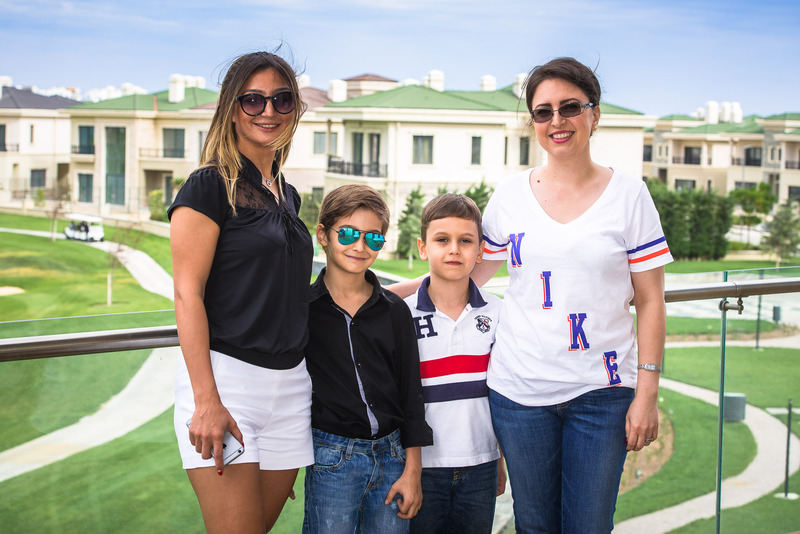 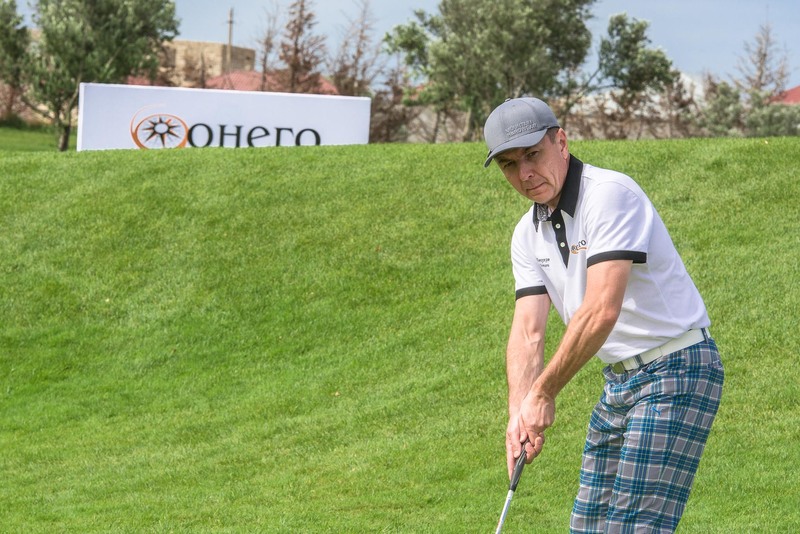 “The Inaugural 2016 Dreamland Azerbaijan Open has been a very big success for golf in the country, we are delighted the 80 golfers have enjoyed the weekends format. 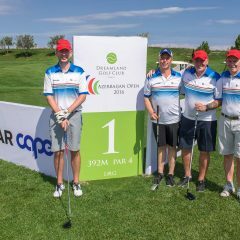 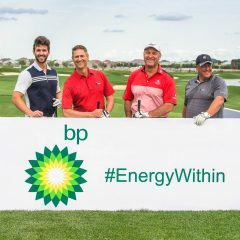 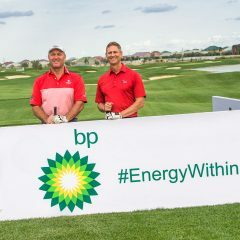 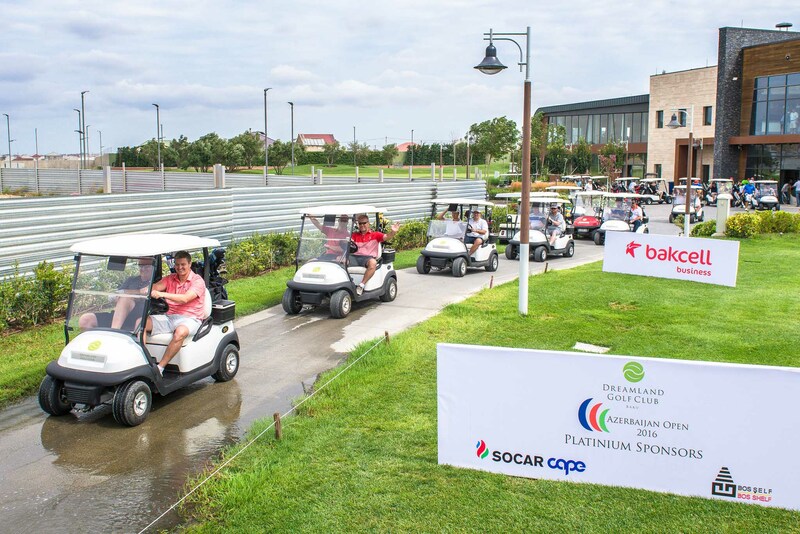 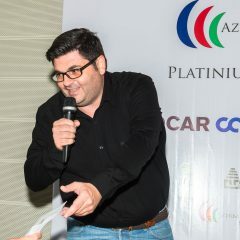 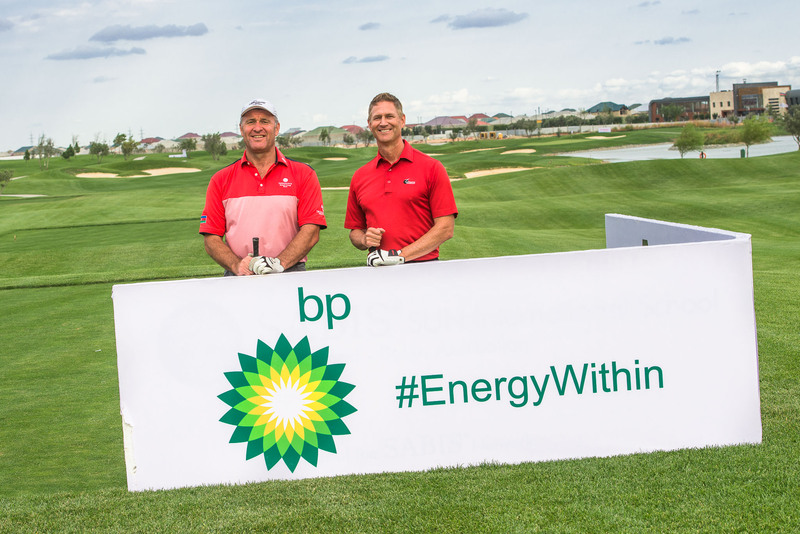 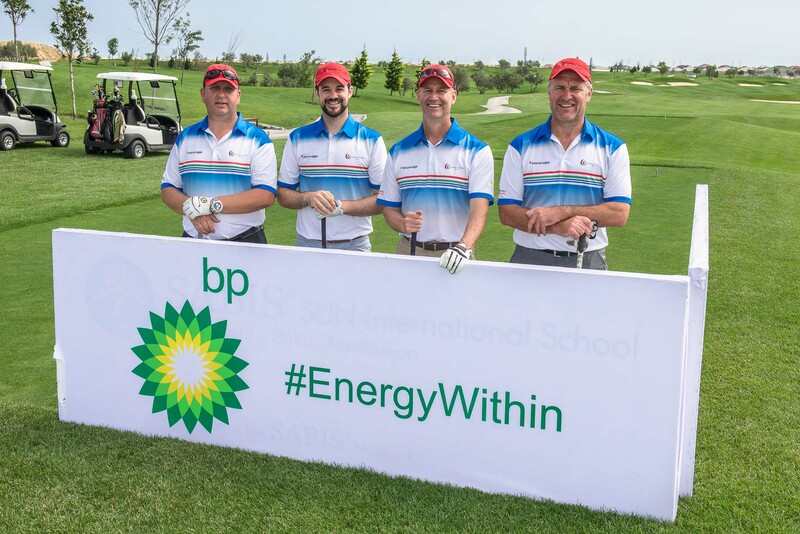 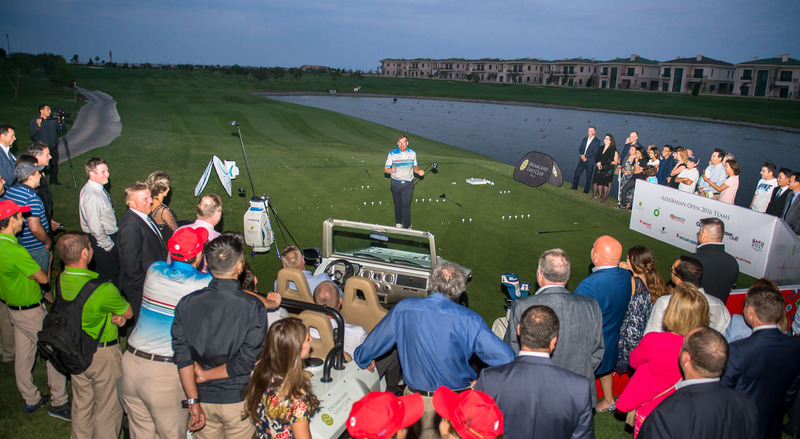 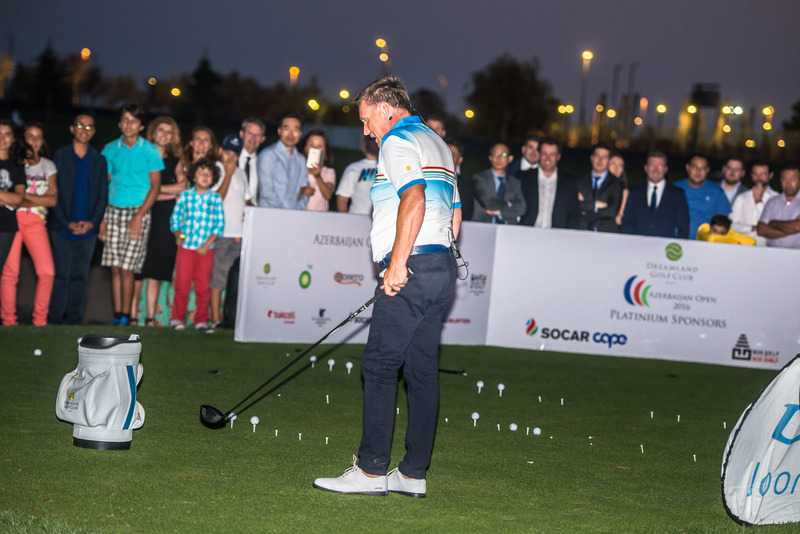 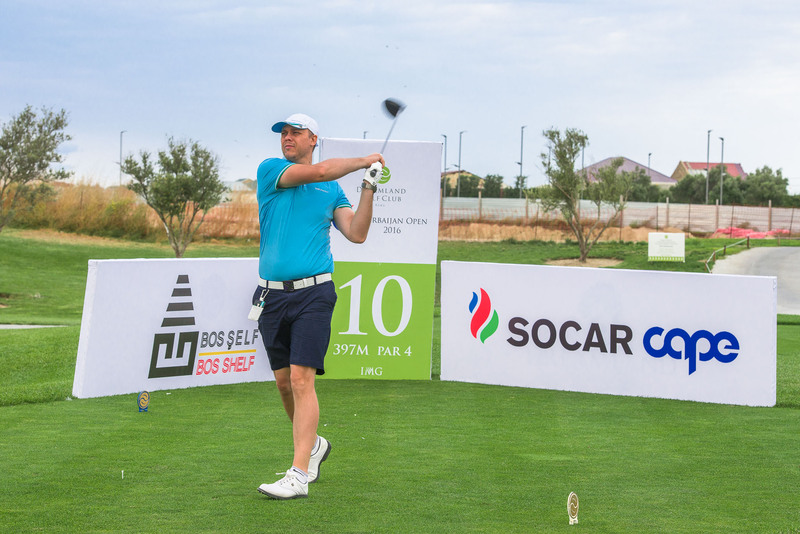 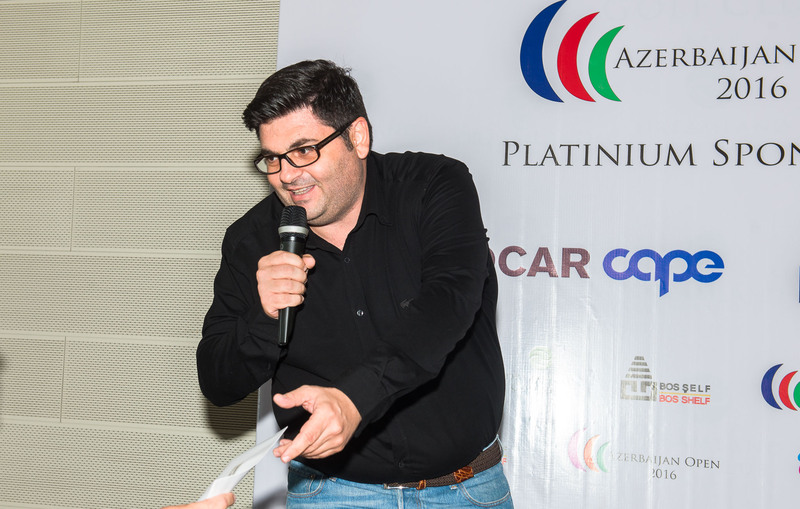 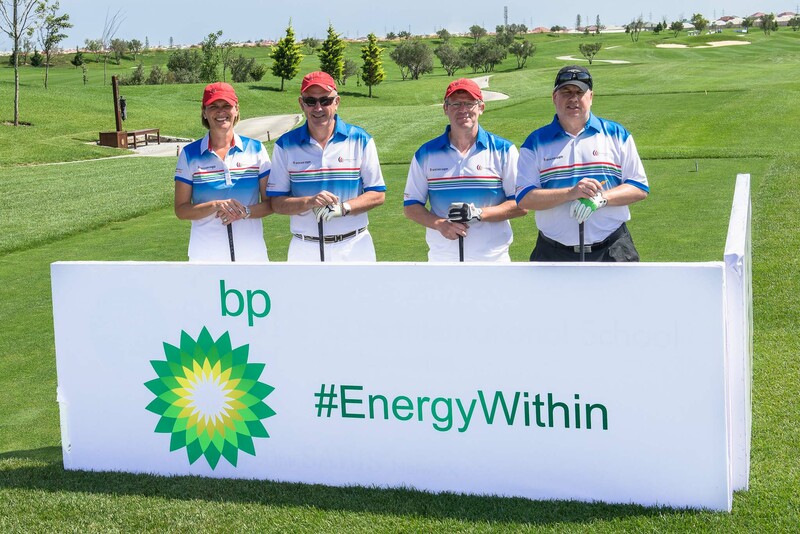 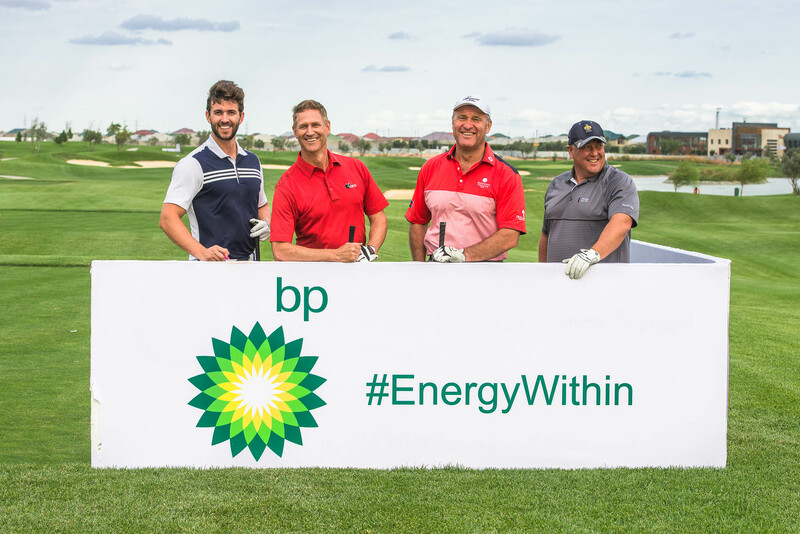 The event has been created allowing corporate teams the chance to enter and represent their business or brand, without the help of Socar Cape and Bos Shelf the event would not have been possible. 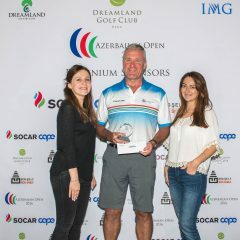 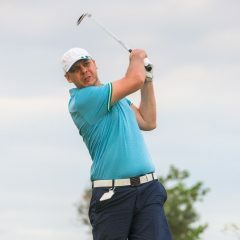 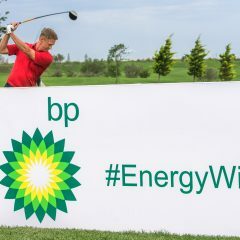 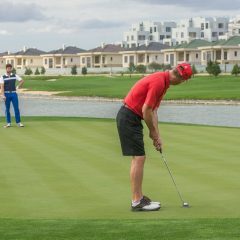 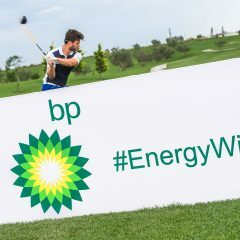 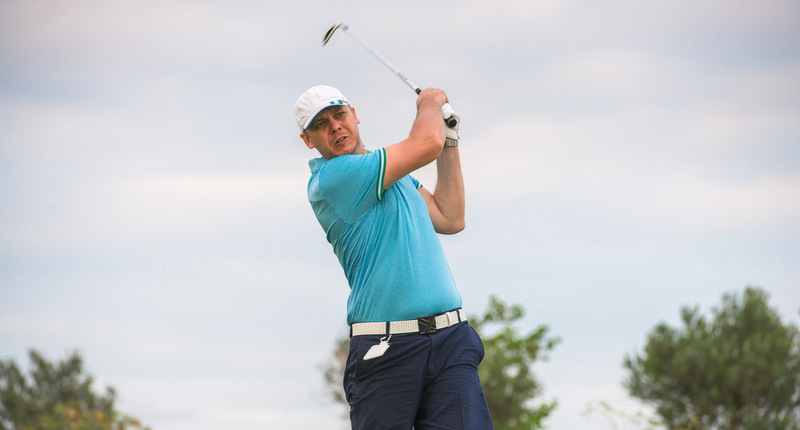 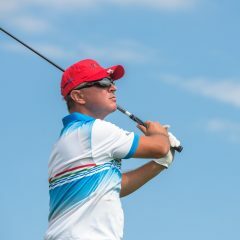 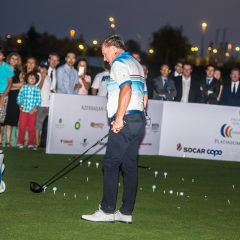 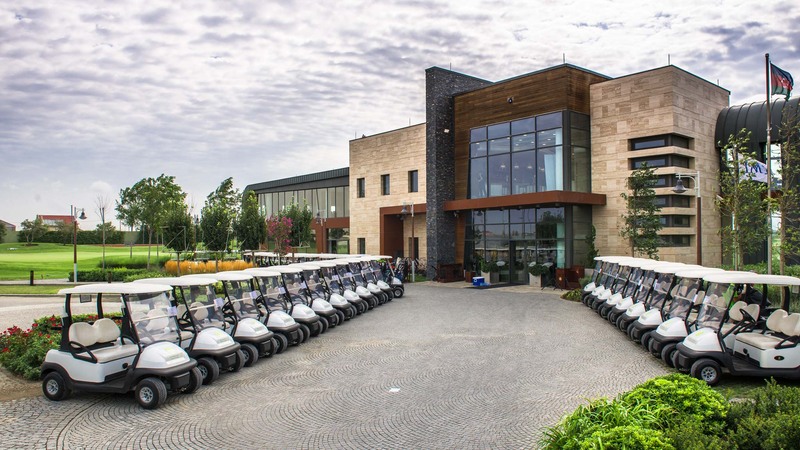 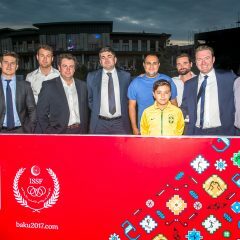 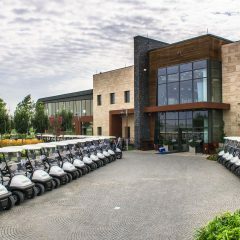 Special mention must be given to the Azerbaijan Junior Team players competing in the event as part of their development” commented Phil Jones Dreamland Golf Club General Manager.